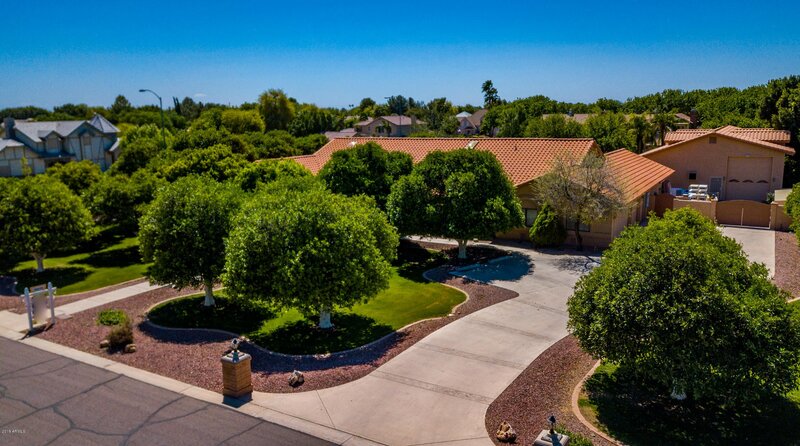 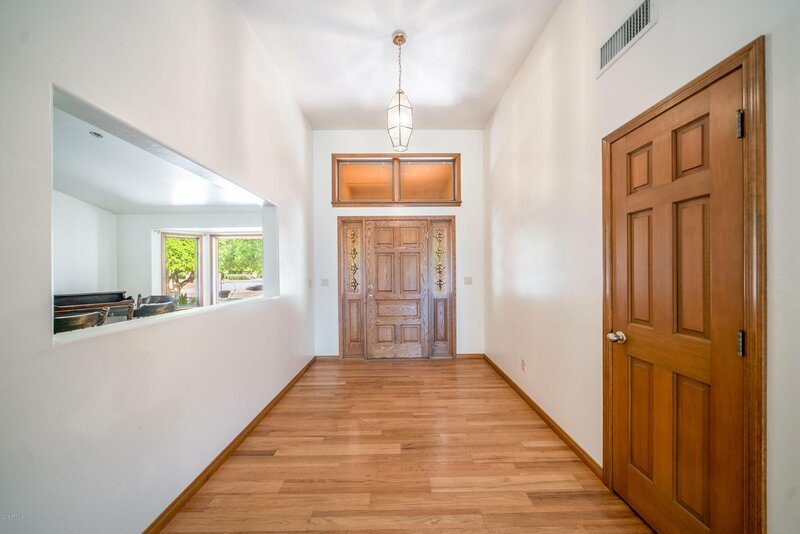 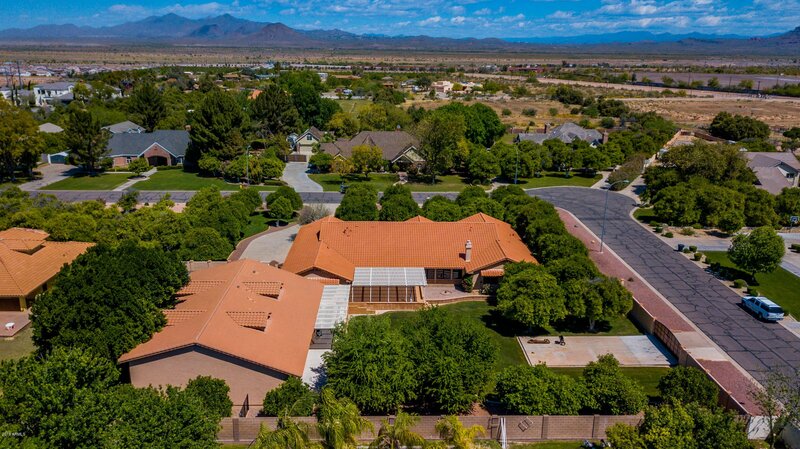 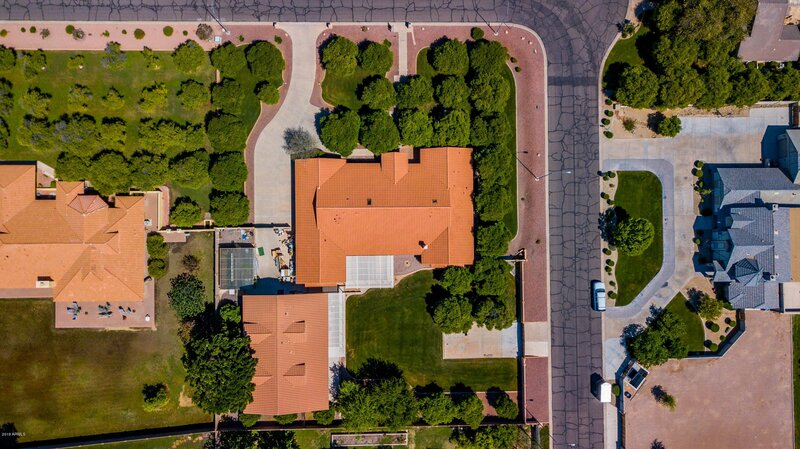 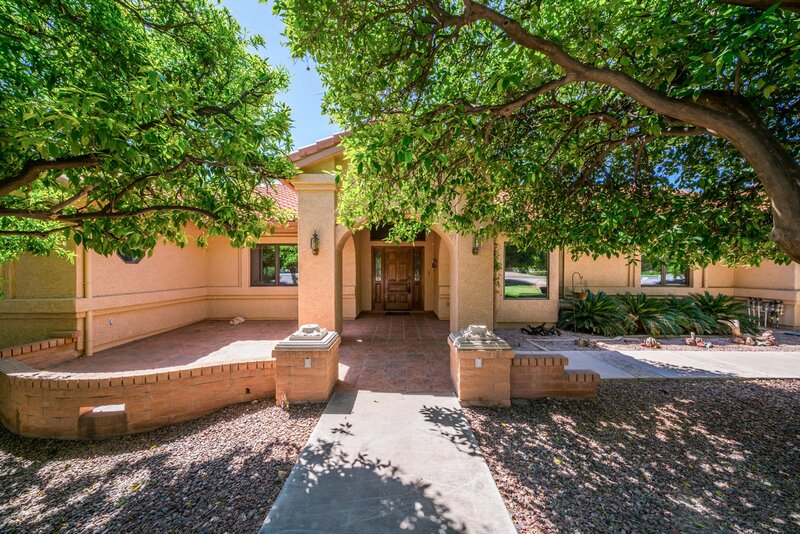 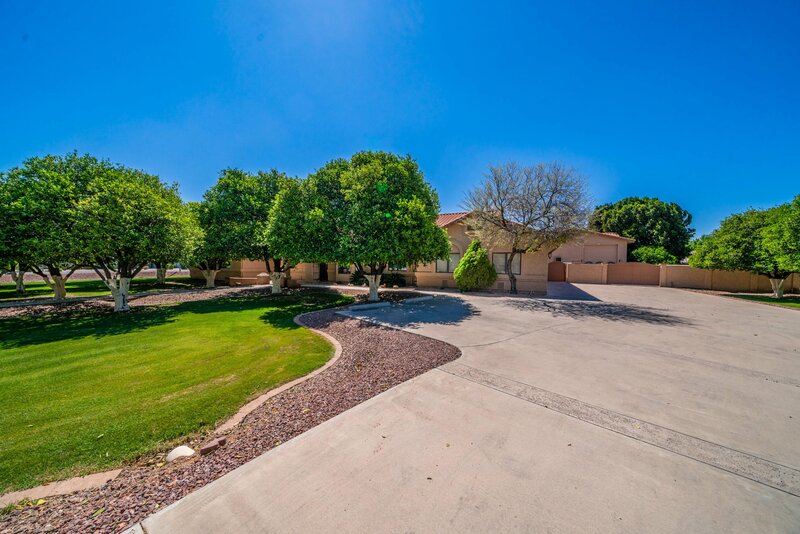 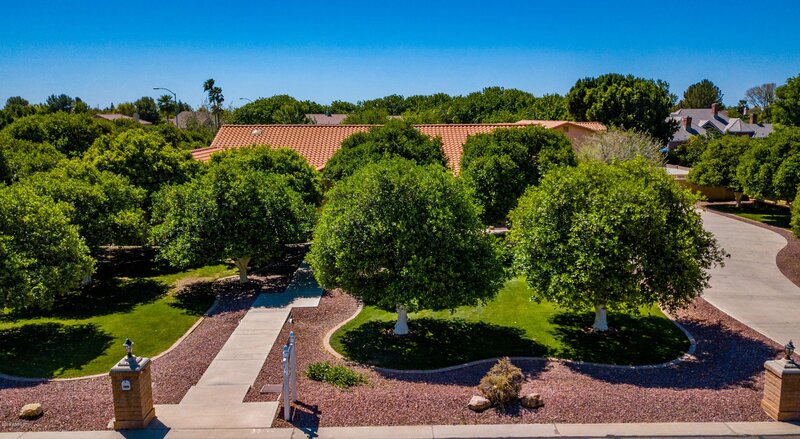 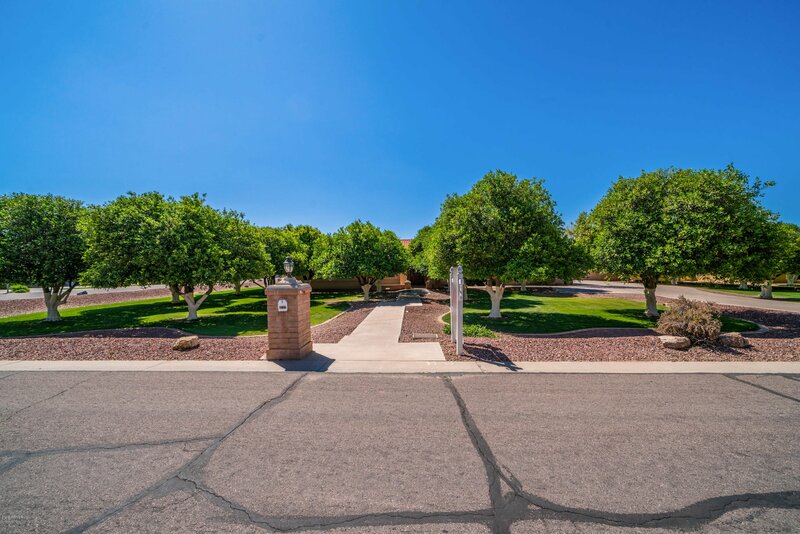 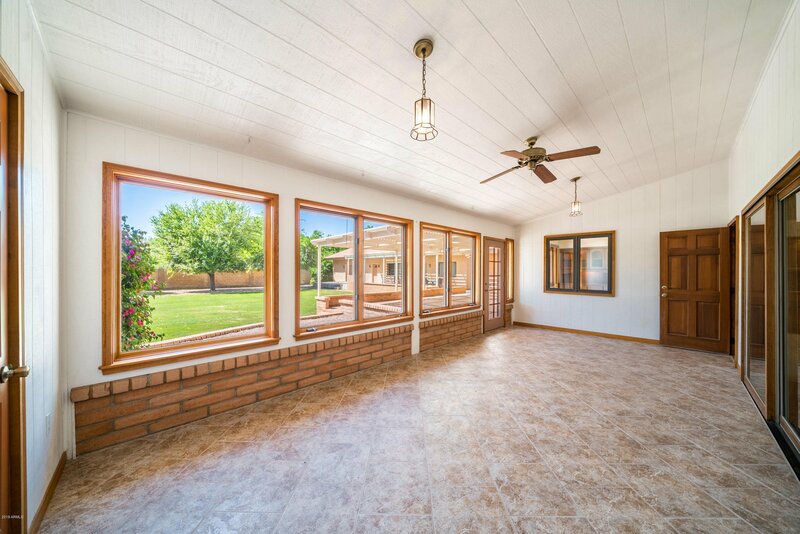 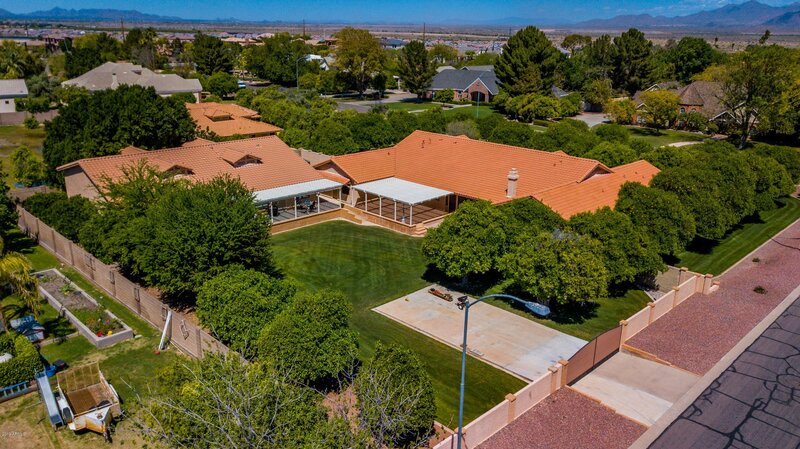 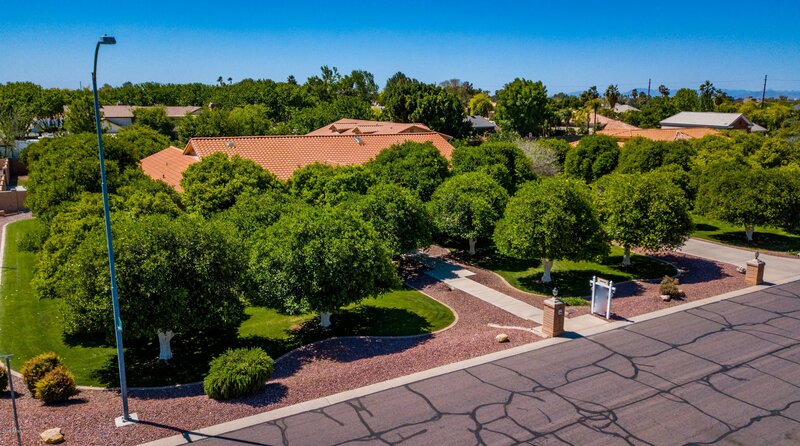 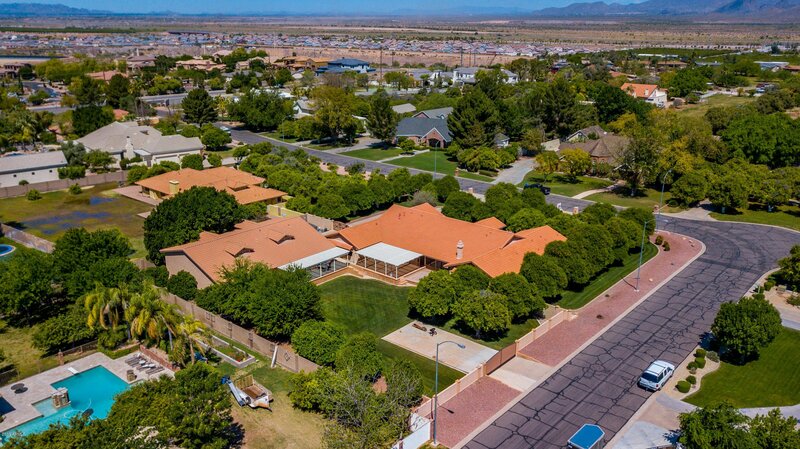 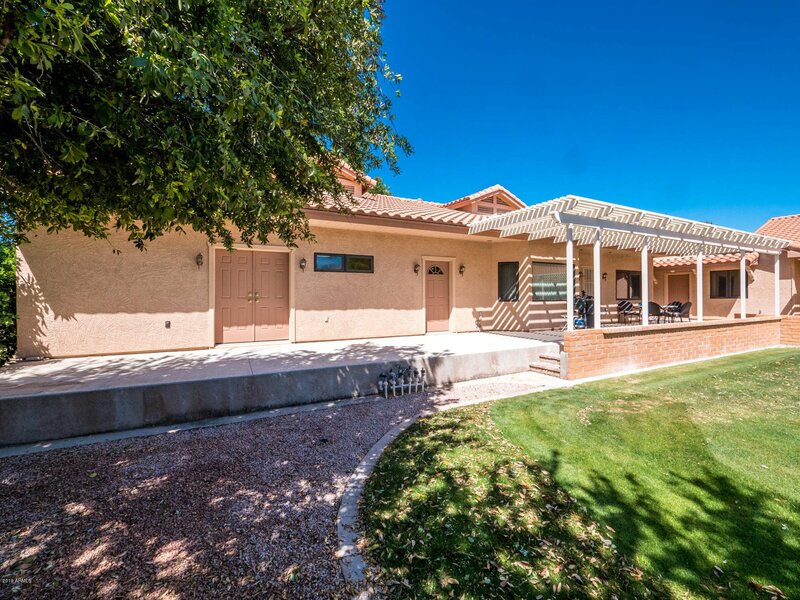 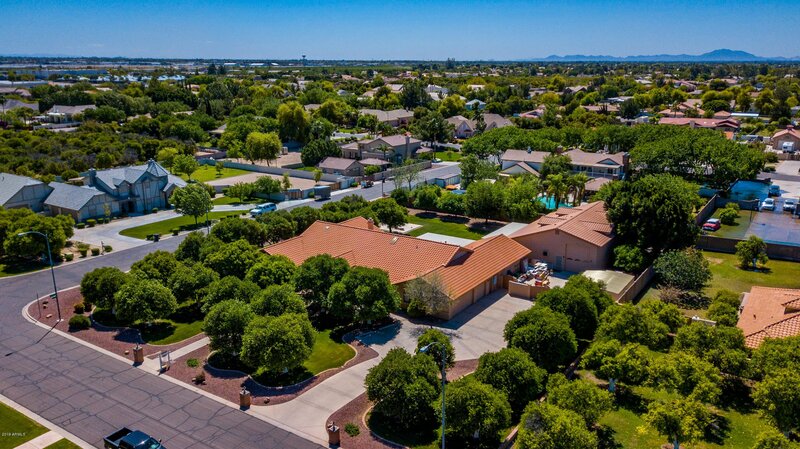 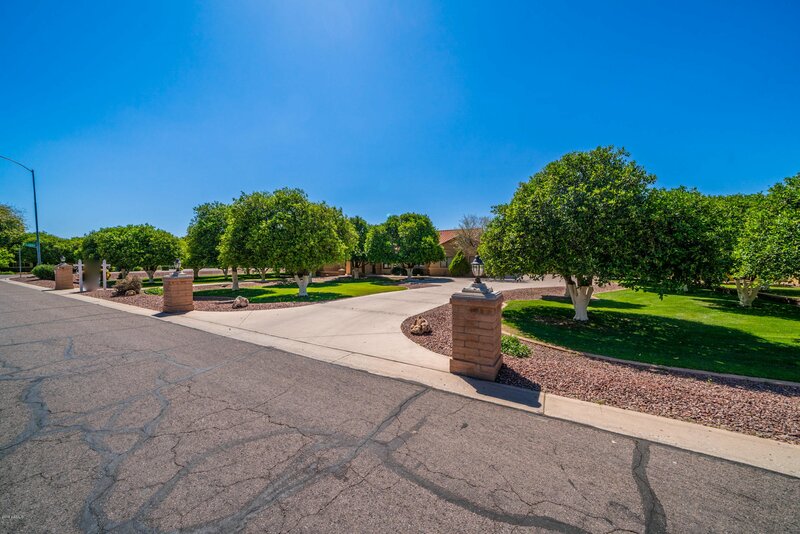 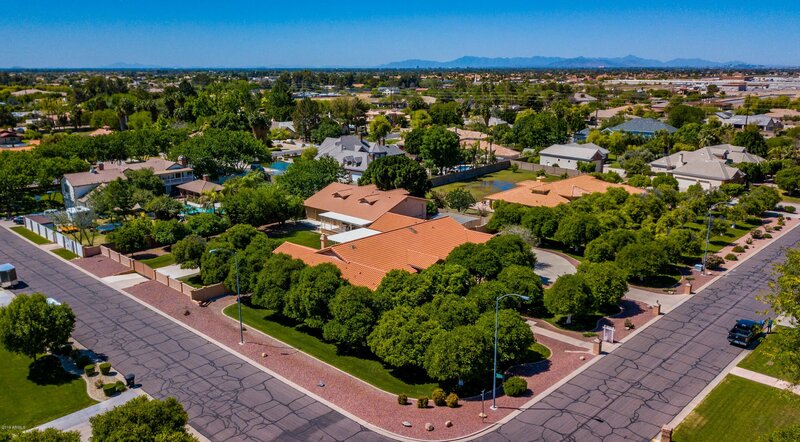 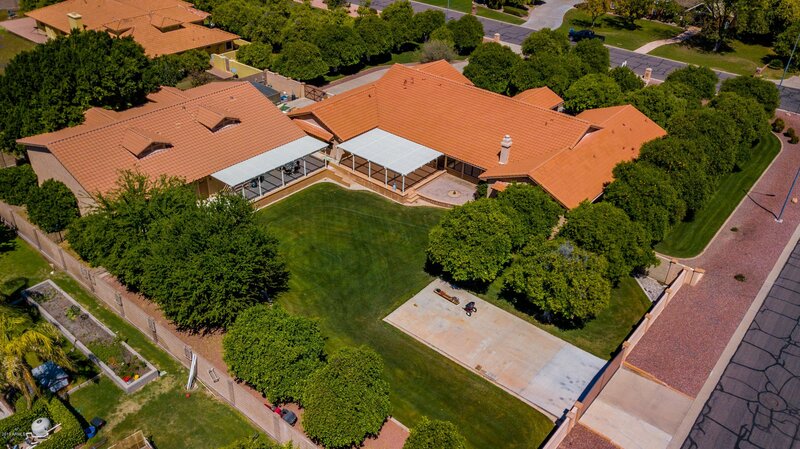 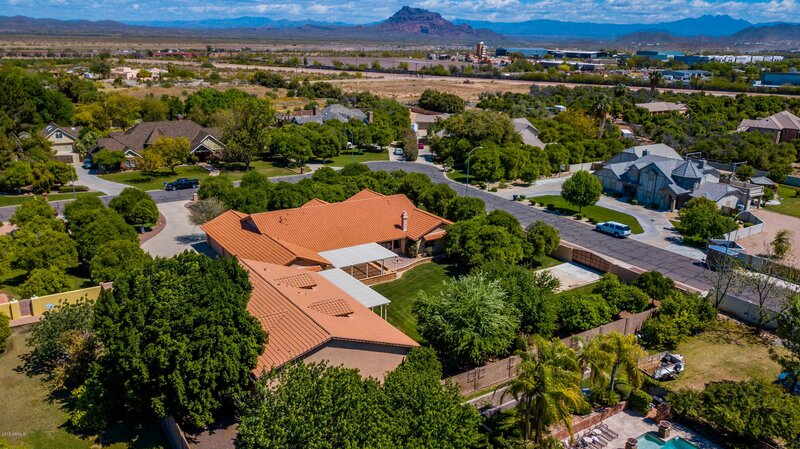 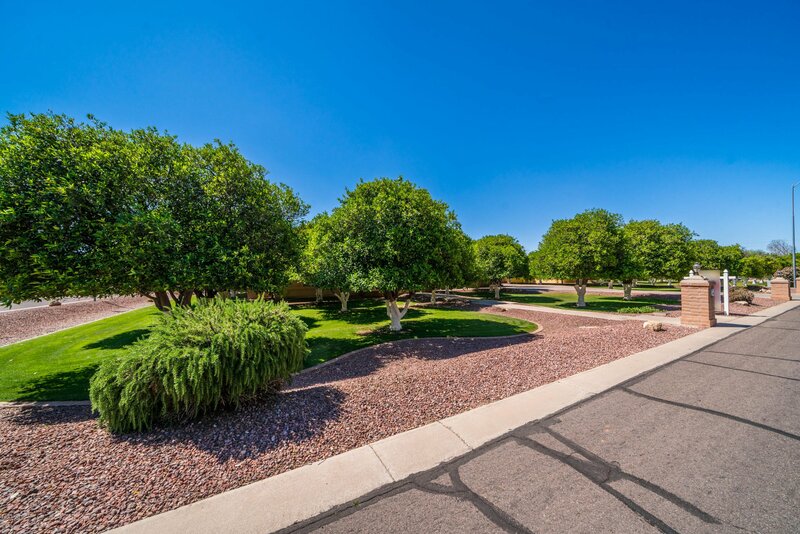 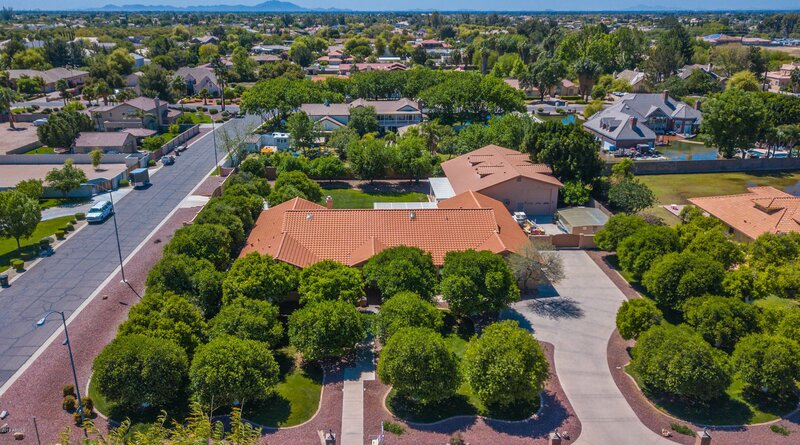 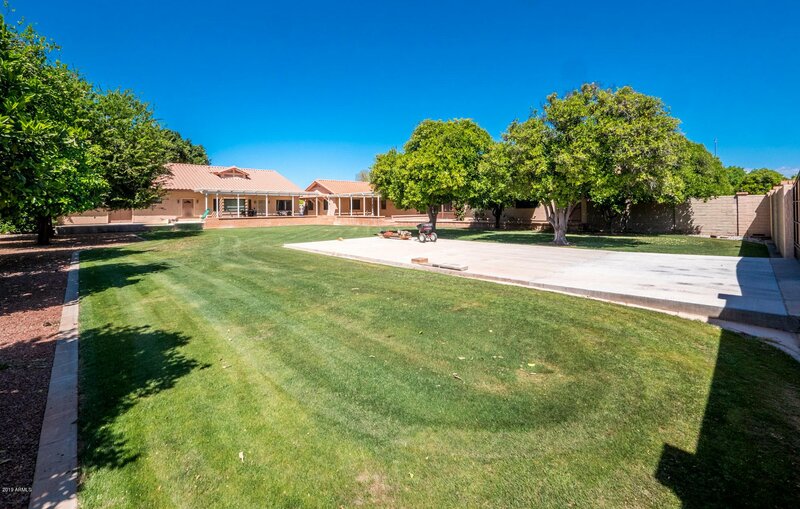 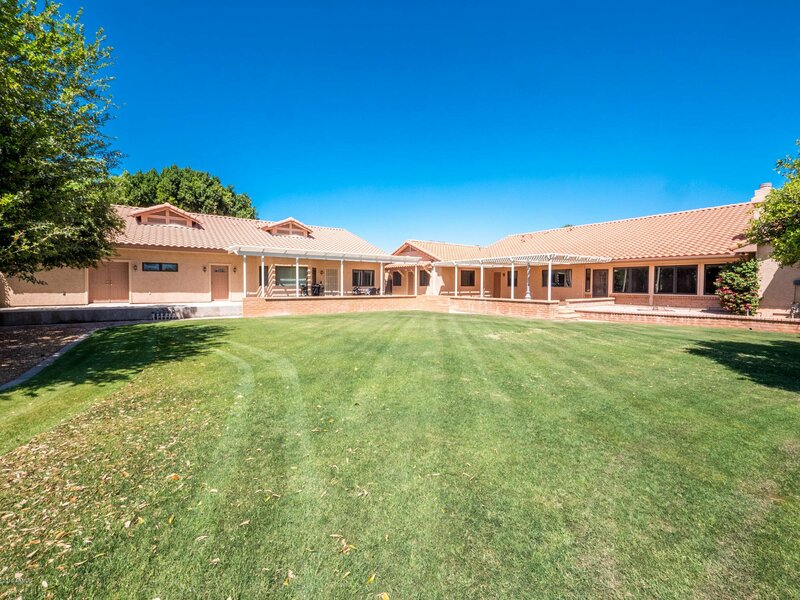 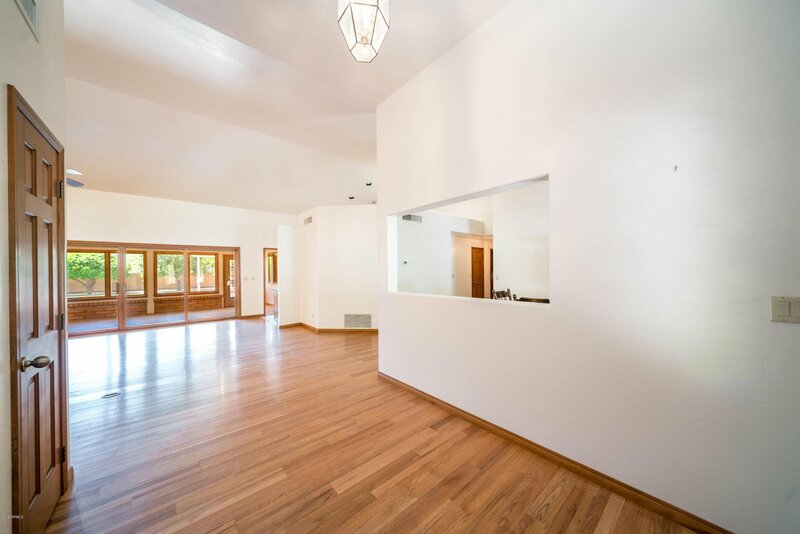 Energy Efficient Custom Home on 1.07 acres in the Citrus Area, a special area of Mesa zoned for large custom homes on acre sized lots. 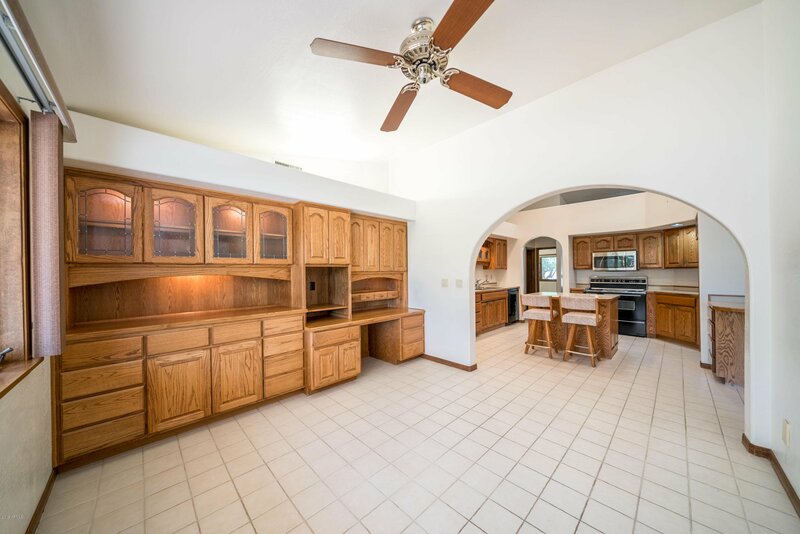 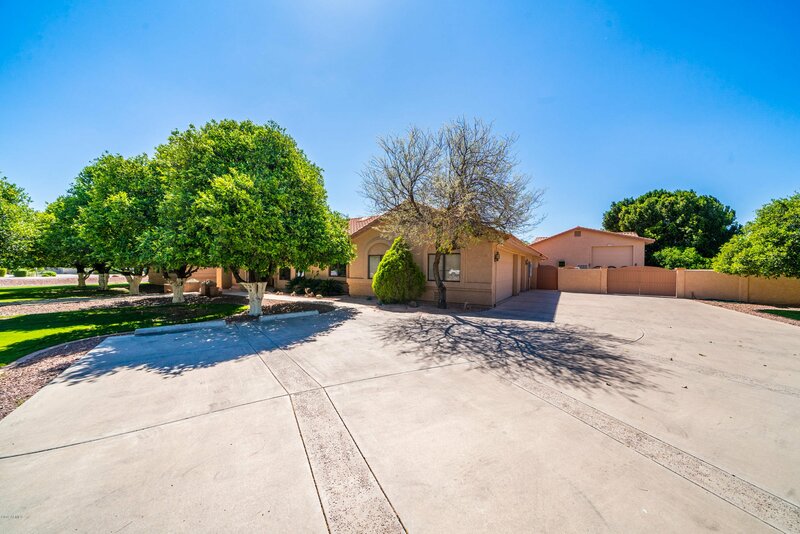 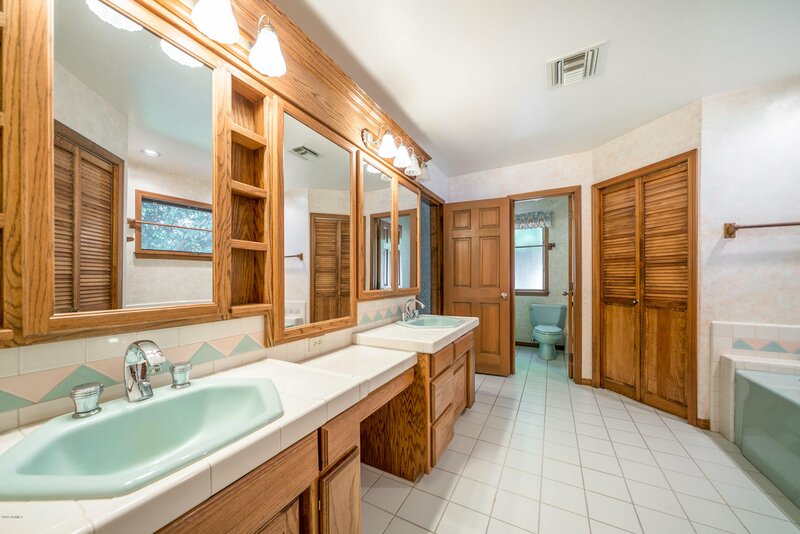 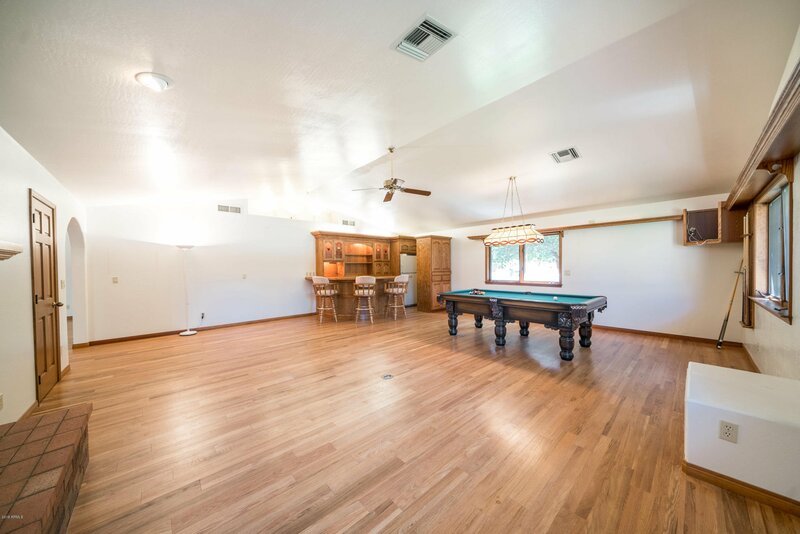 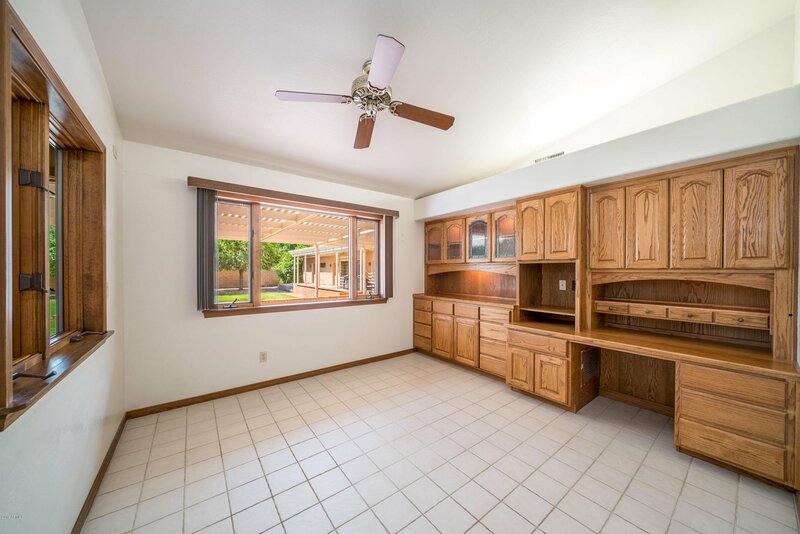 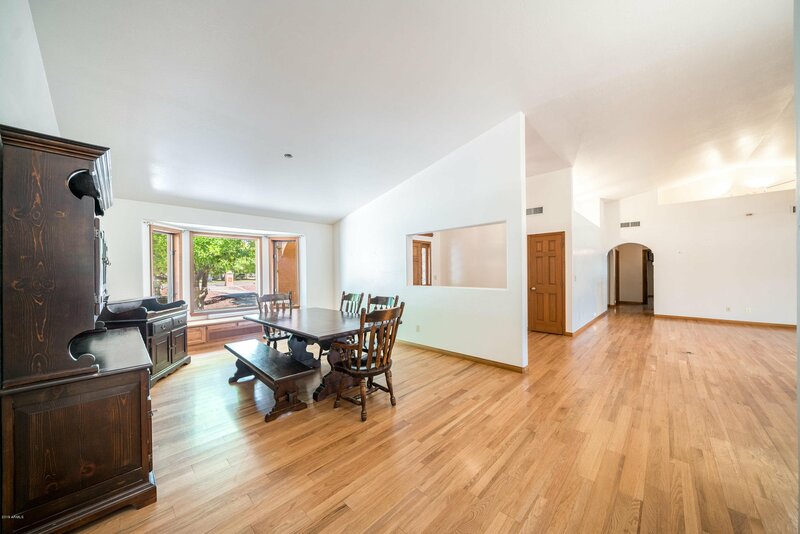 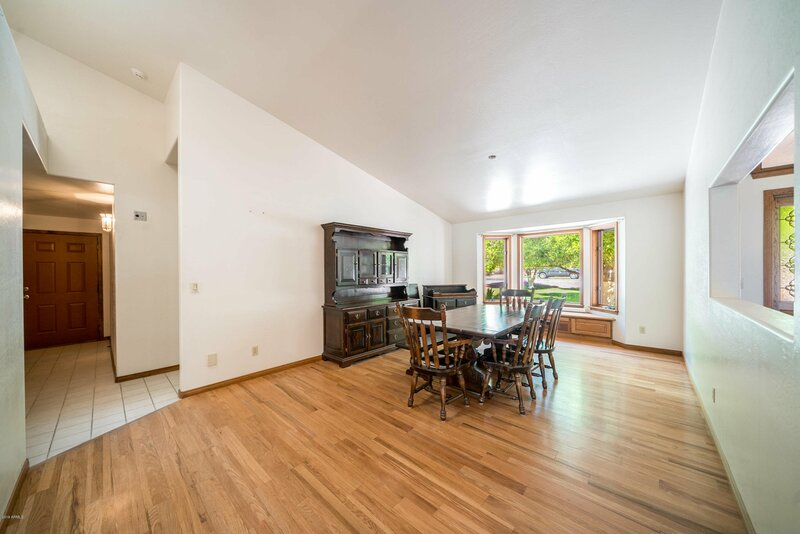 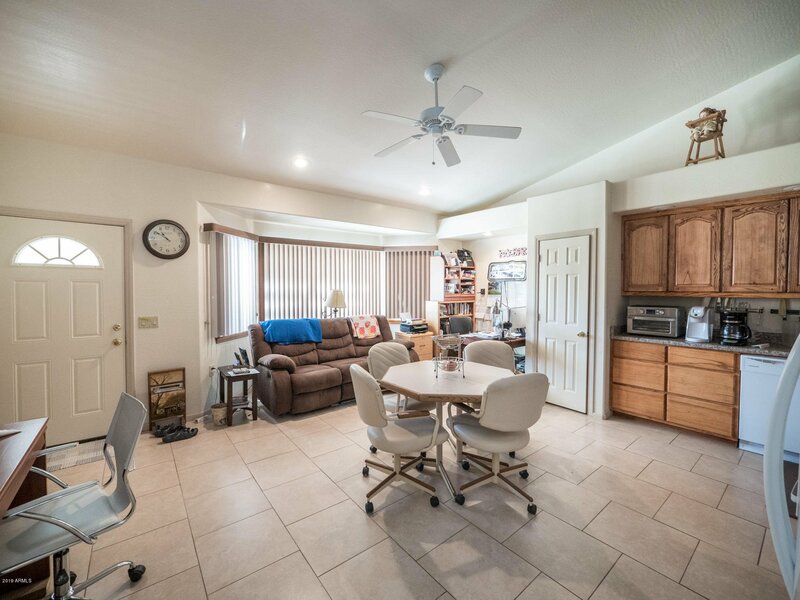 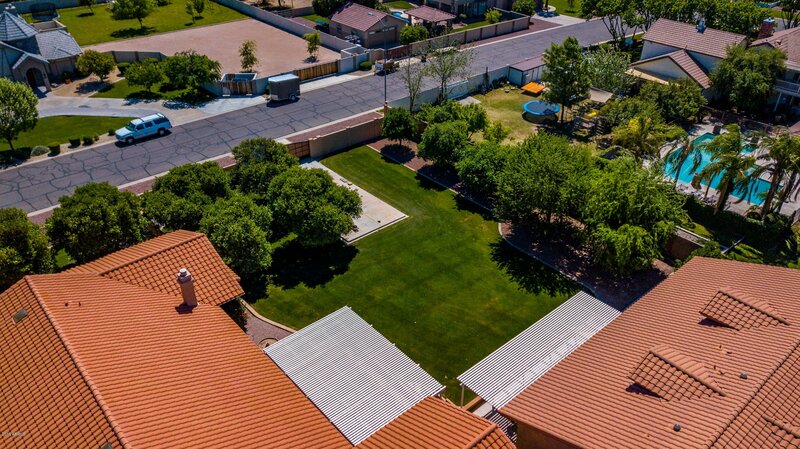 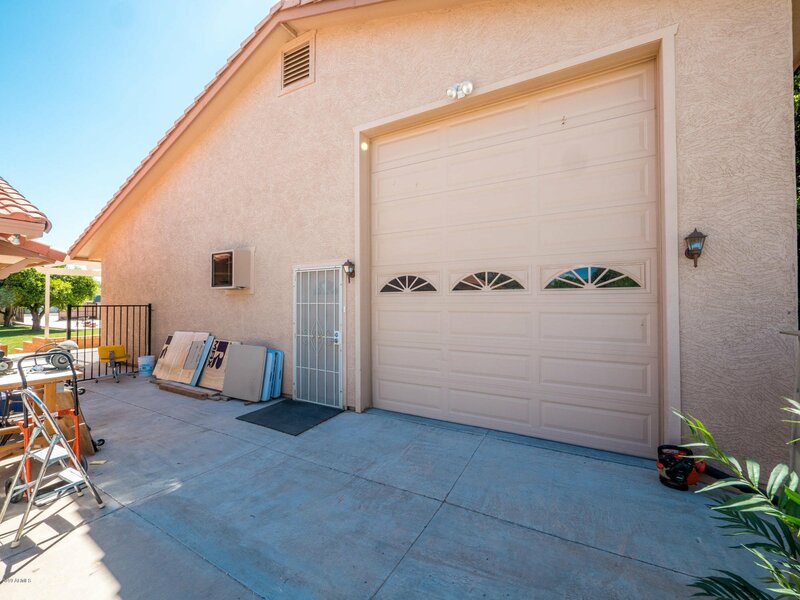 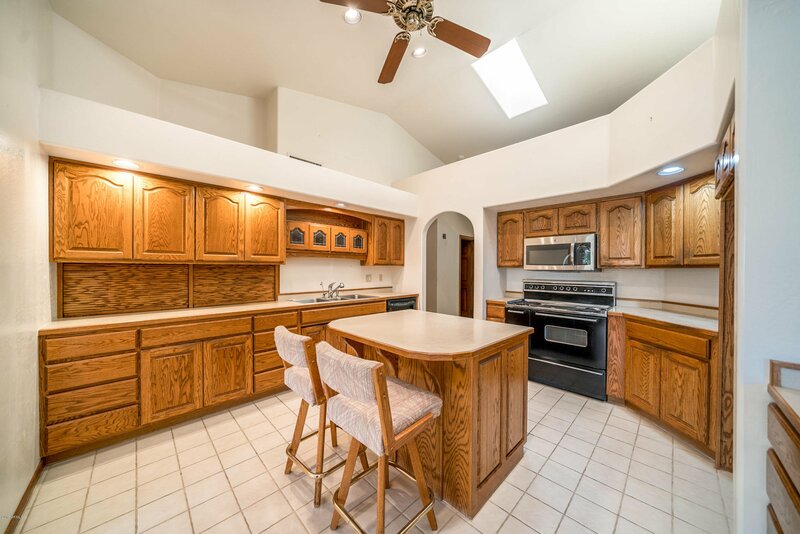 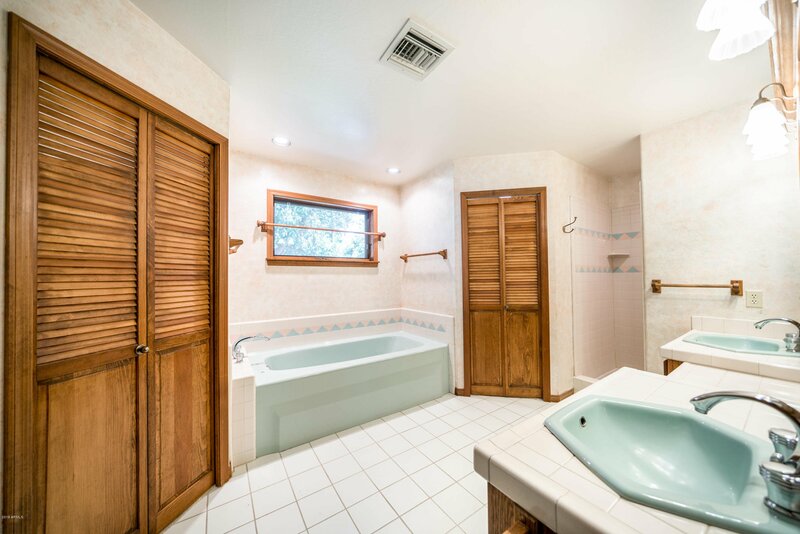 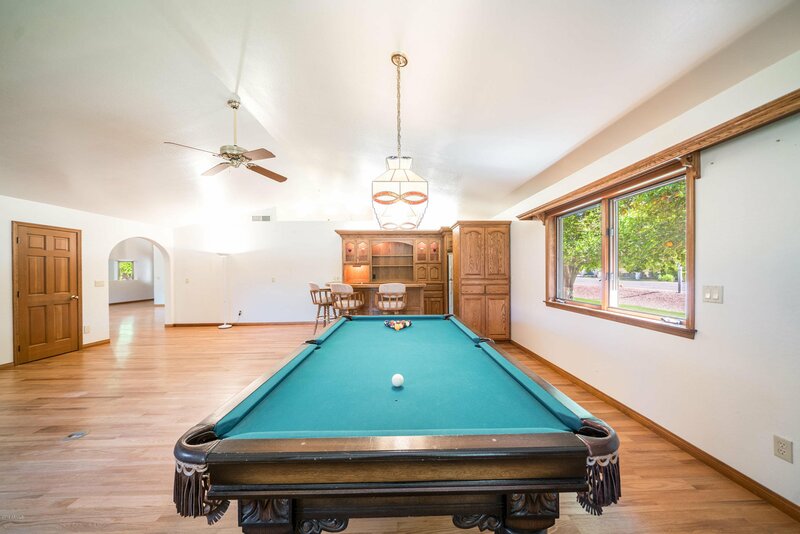 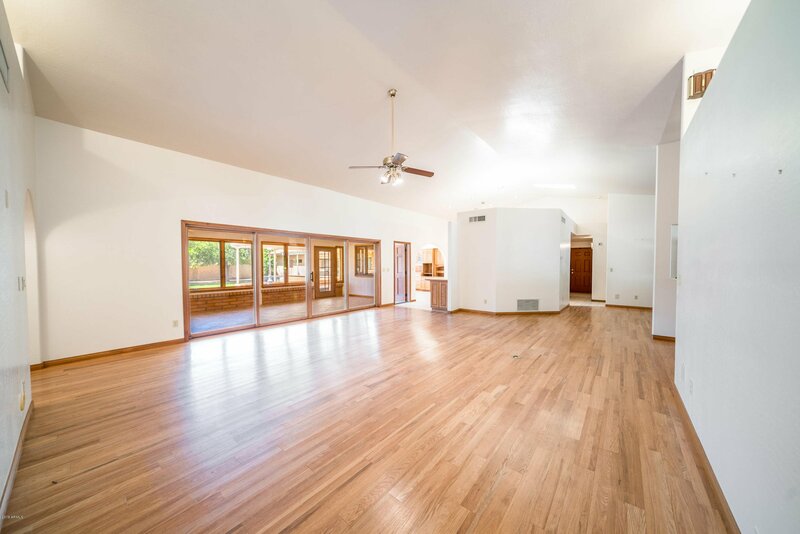 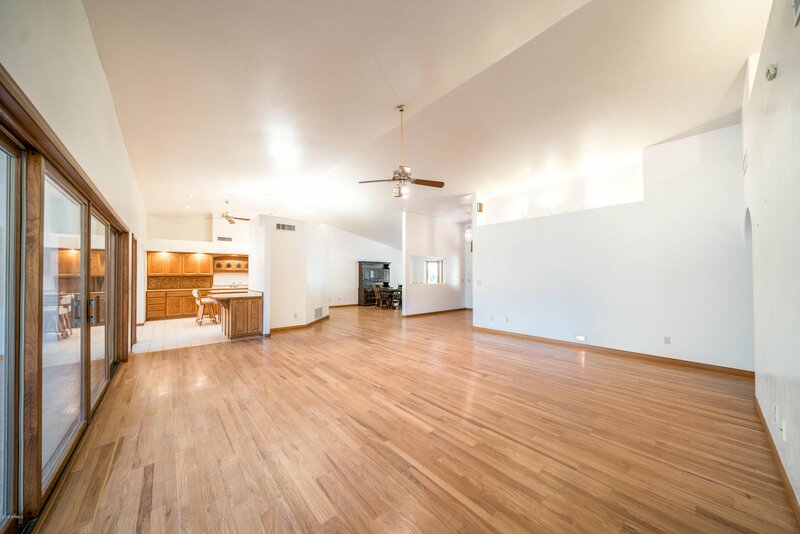 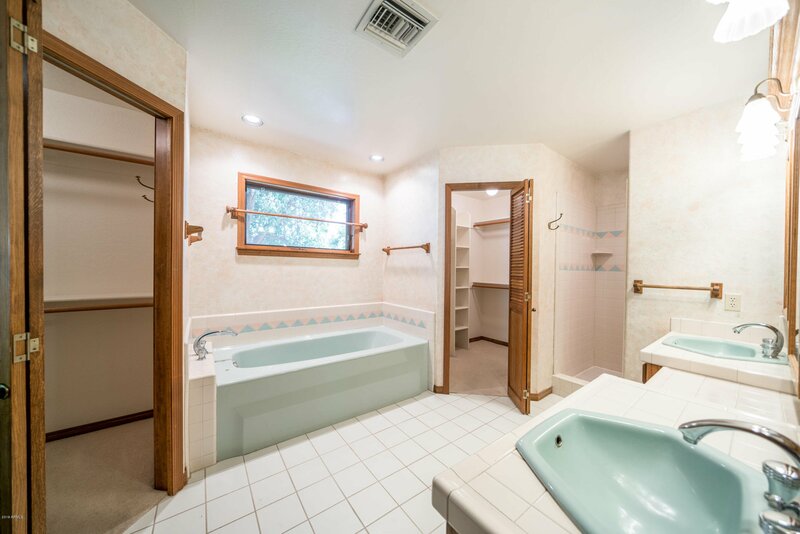 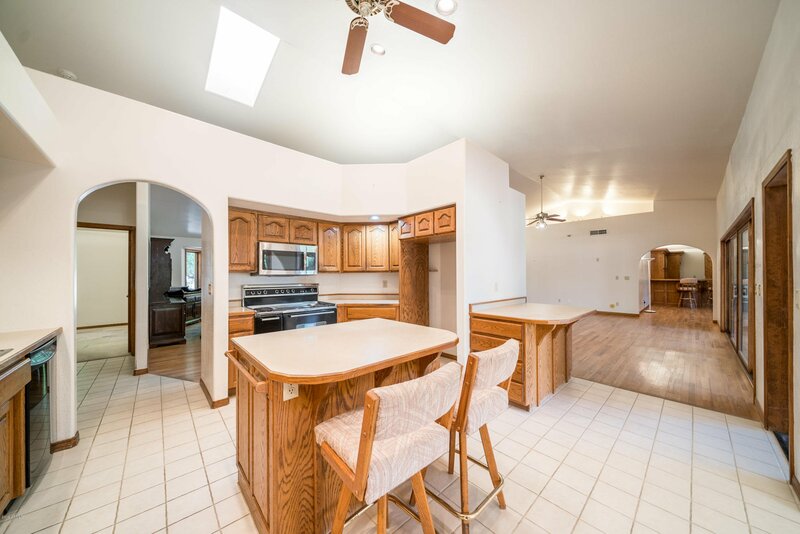 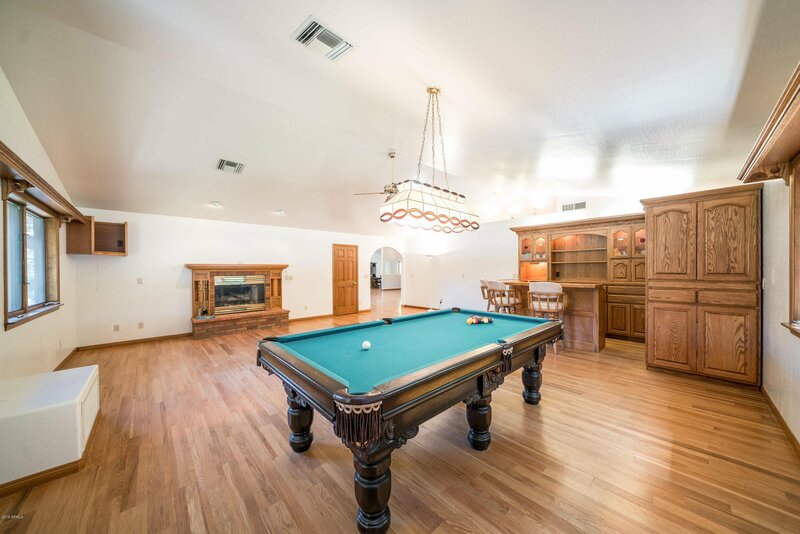 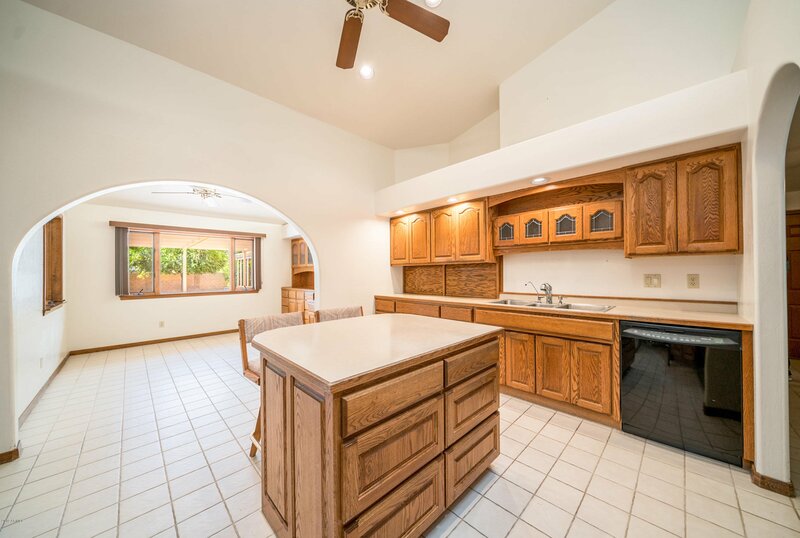 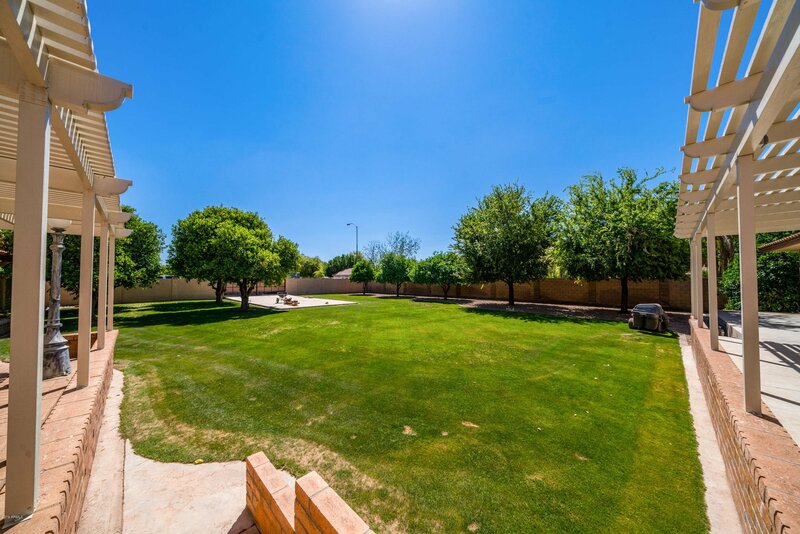 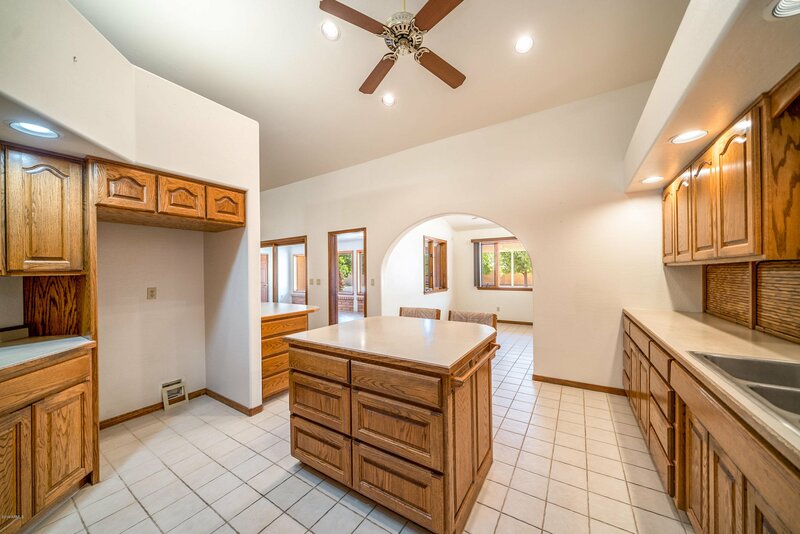 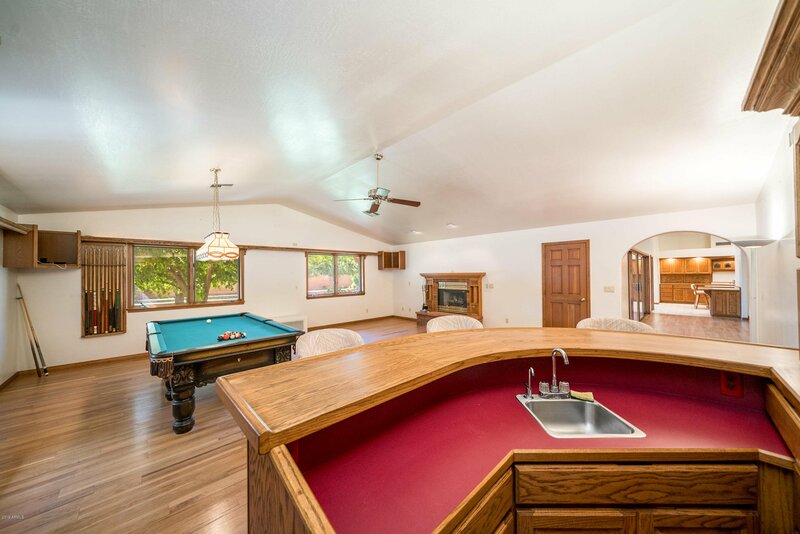 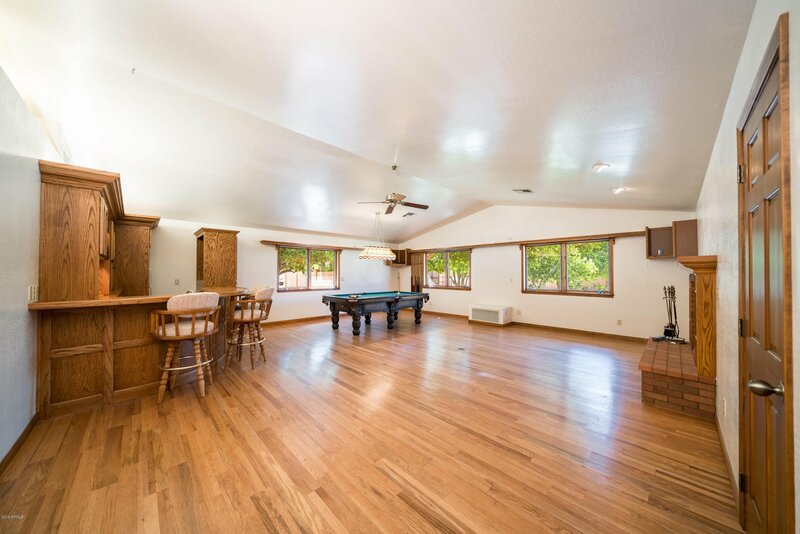 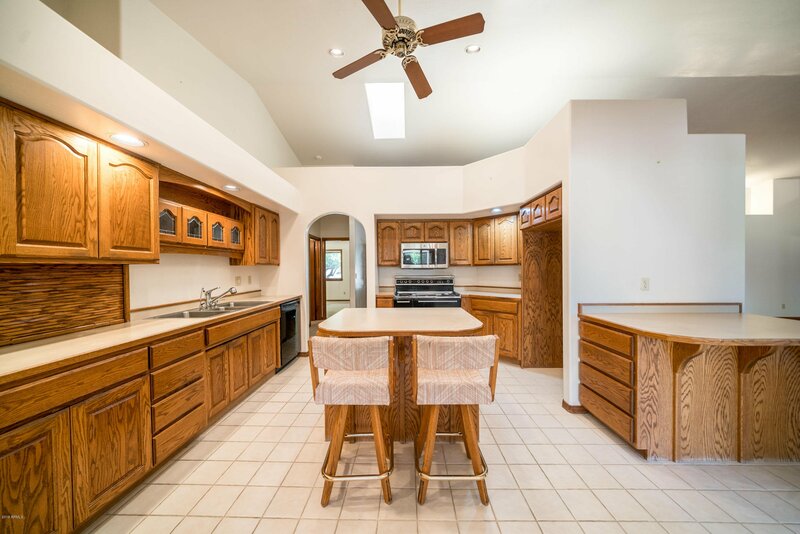 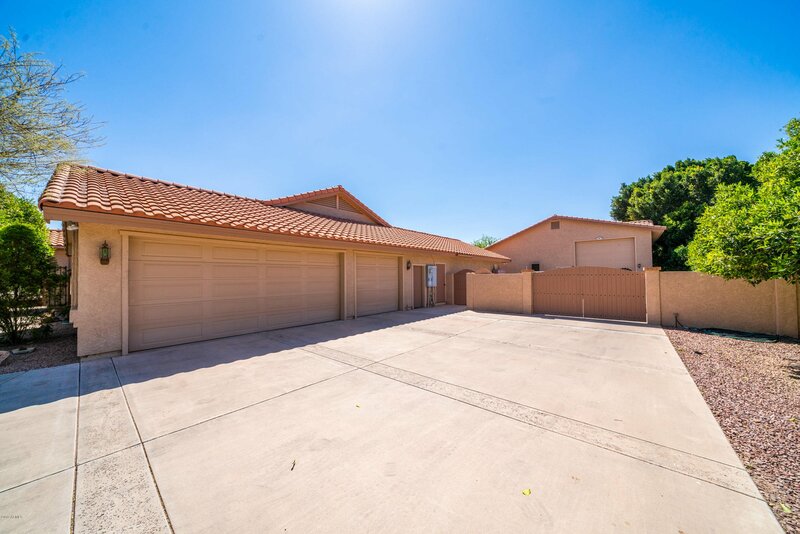 This Quality Home has a large open floor plan, vaulted ceilings throughout, kitchen and eating area facing the rear yard, laundry room, formal dining room, large game room with fireplace, wet bar and pool table (negotiable) all in the central area of the home. 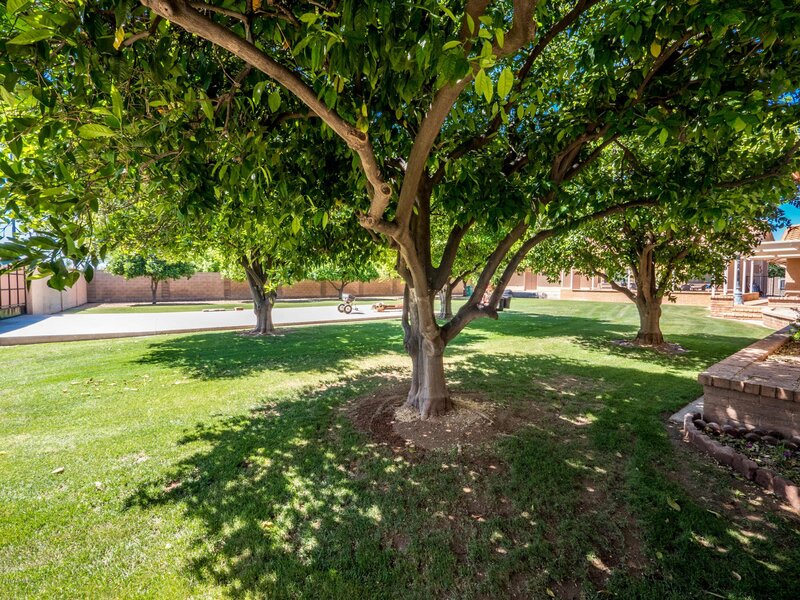 The lot has flood irrigation with more than 30 fruit bearing citrus trees. 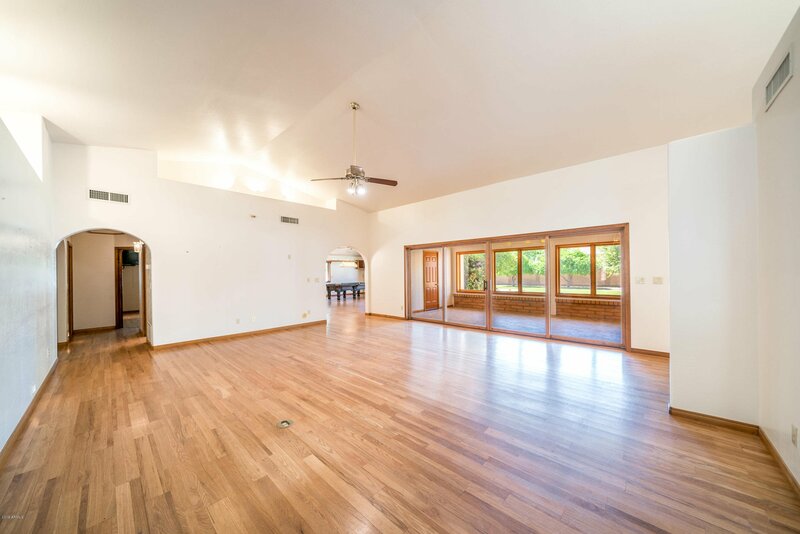 Perfect for large gatherings with 4700 SF livable, 2 master bedroom suites plus 3 additional bedrooms, 5 bathrooms and an oversized 3-car garage that has a separate 100 SF inside storage room. 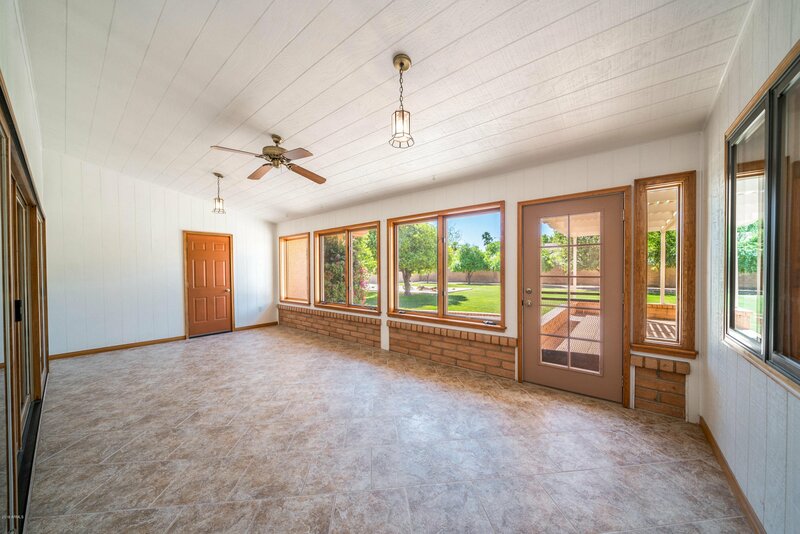 The south facing sun room has 12 foot sliding glass doors to the main living room, perfect for morning coffee or reading. 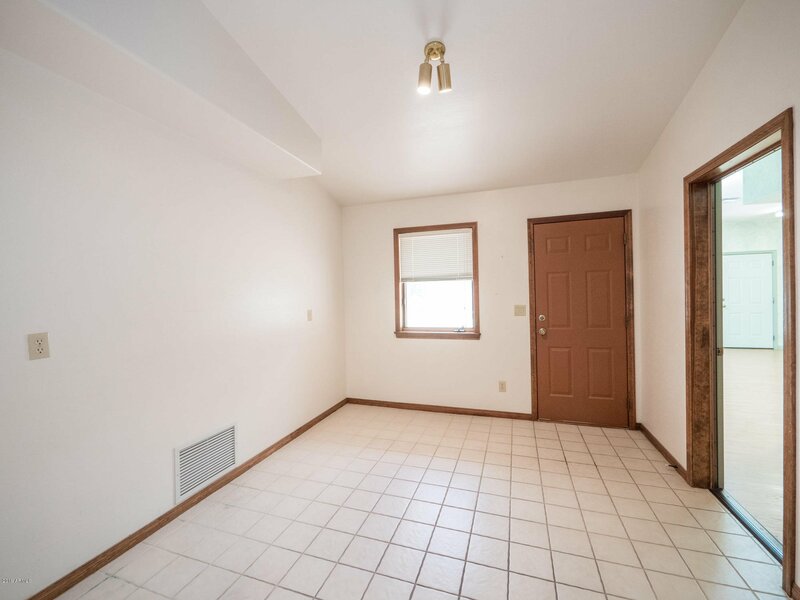 The home has 2 x 6 walls, insulated with R-45 ceiling & R-25 walls, 2 A/C's with 12" PVC underground return air ducting and casement windows through-out. 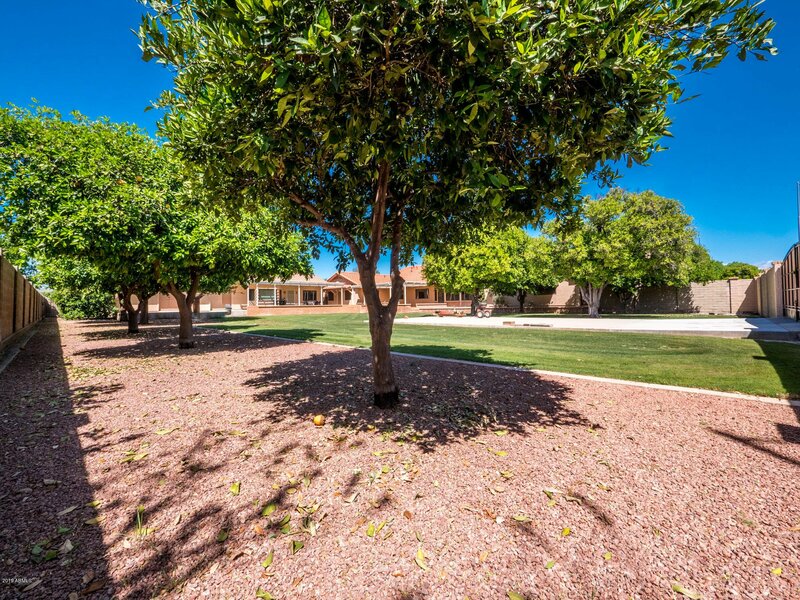 The lot has flood irrigation front and back with more than 30 fruit bearing citrus trees. 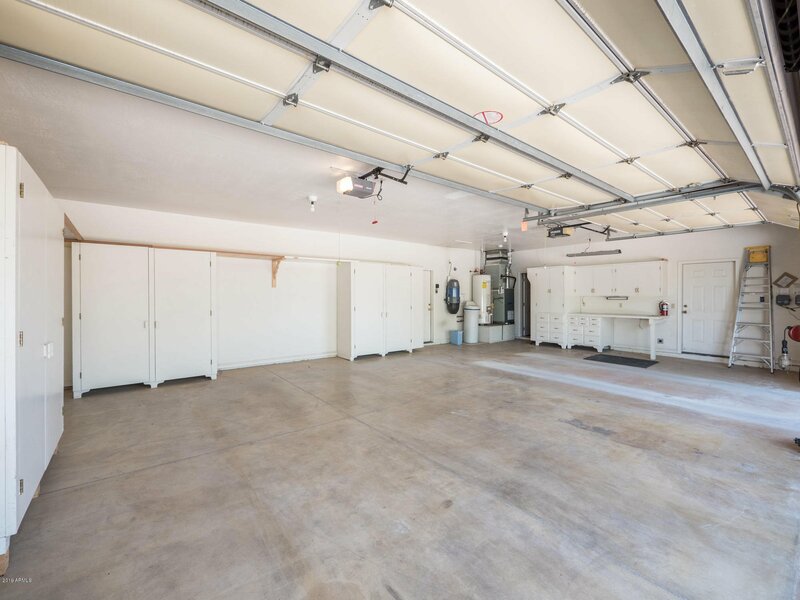 In 2006, a 2700 SF detached building was built in the rear yard with the same energy efficiency as the main home. 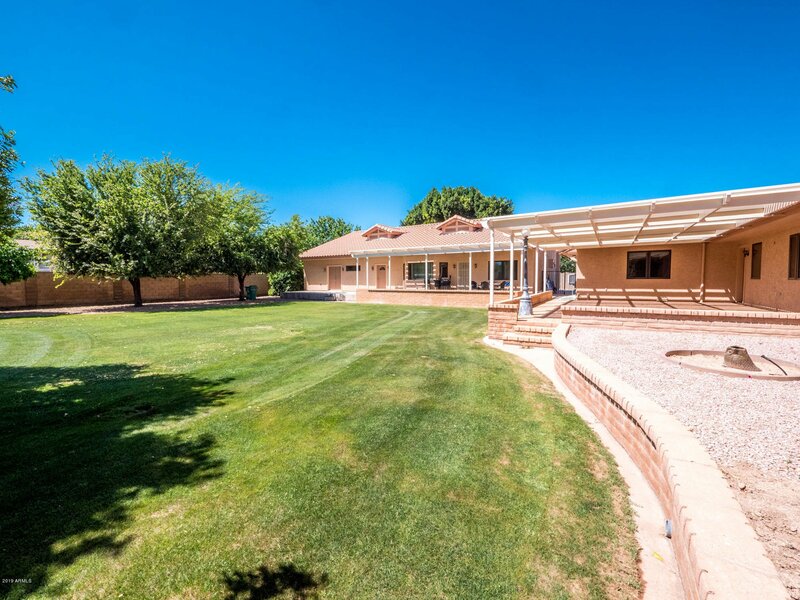 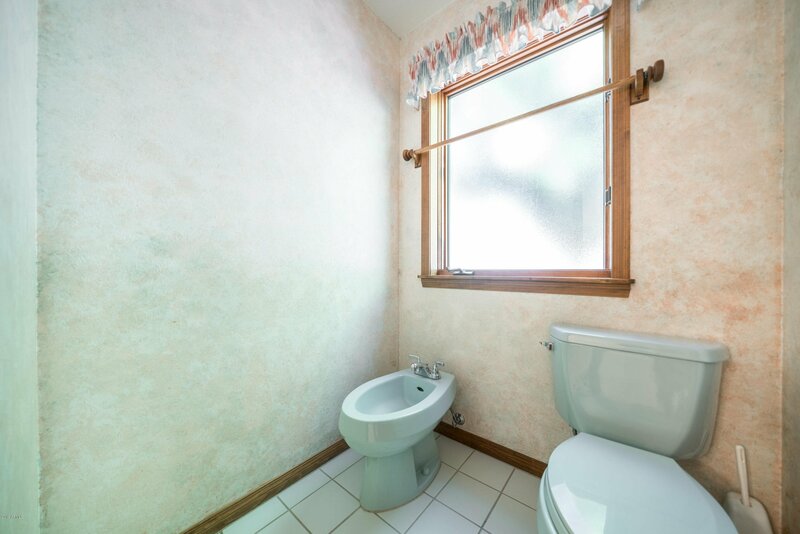 It includes guest quarters and room to house a 45-foot motor home, 2 bathrooms, one for the guest quarters and one opening into the rear yard. 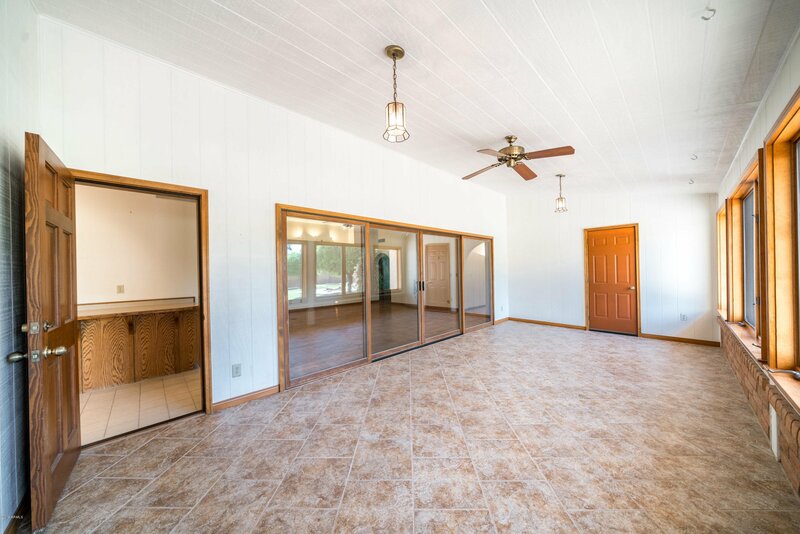 It is fully finished with sheet rock, with separate AC's, one for the guest quarters and one for the remaining 1,900 SF multiple use area. 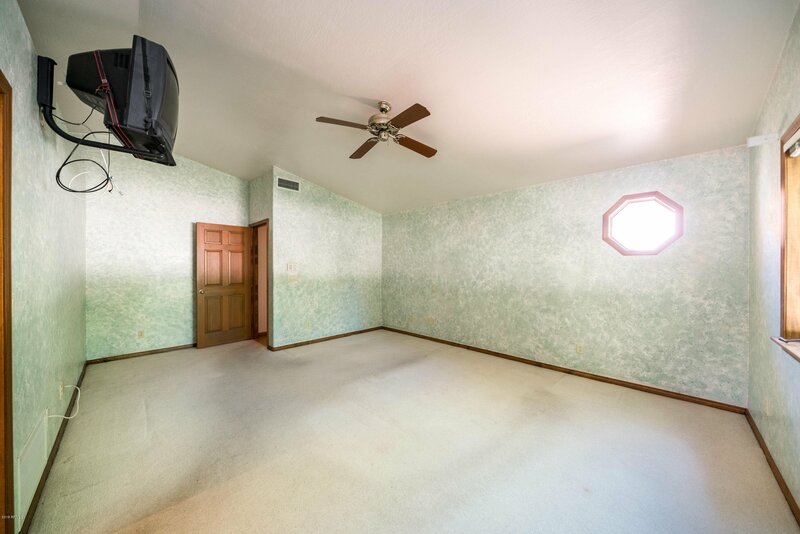 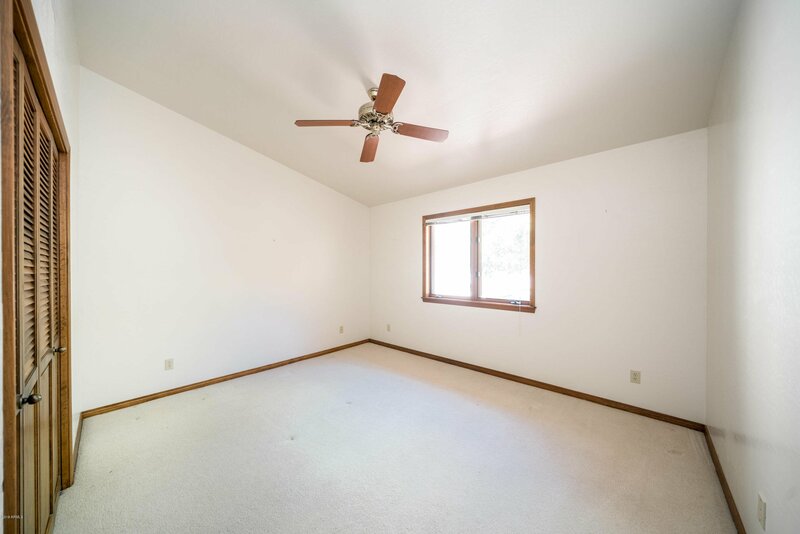 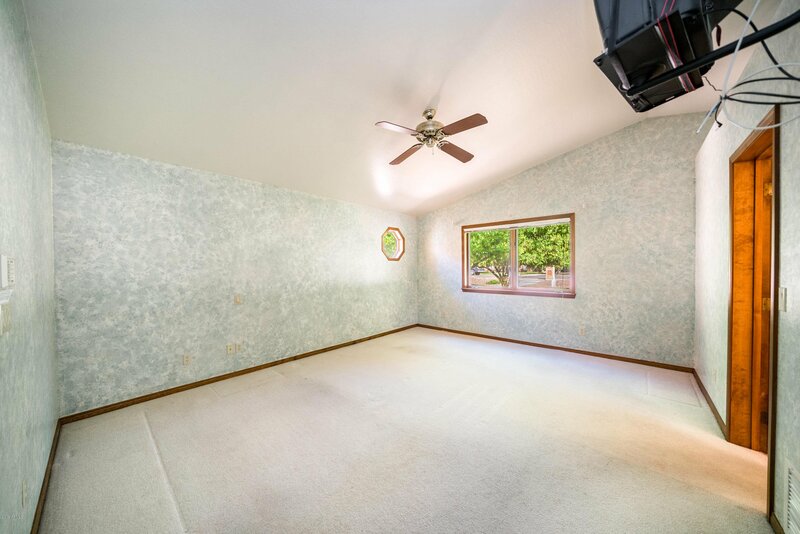 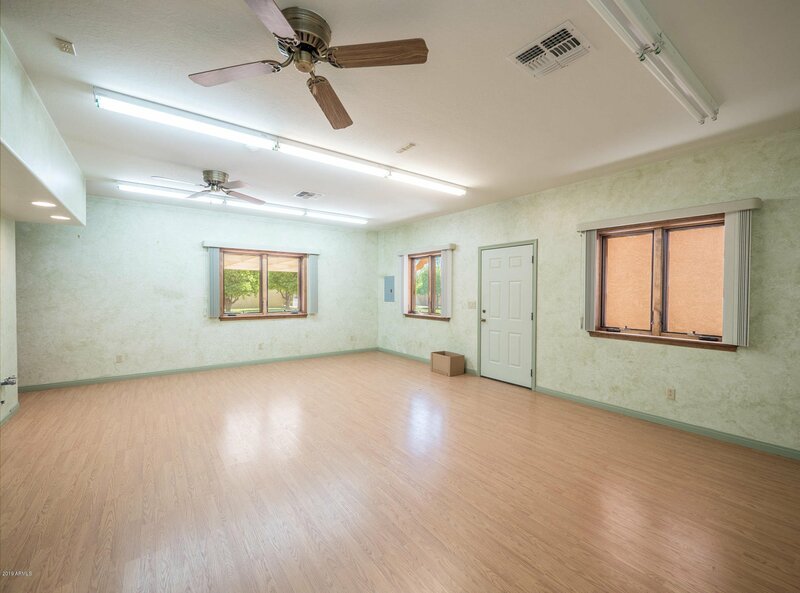 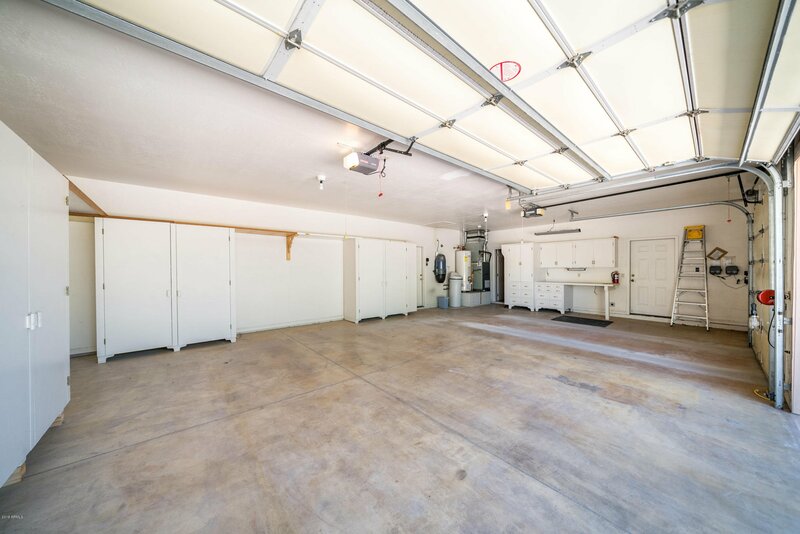 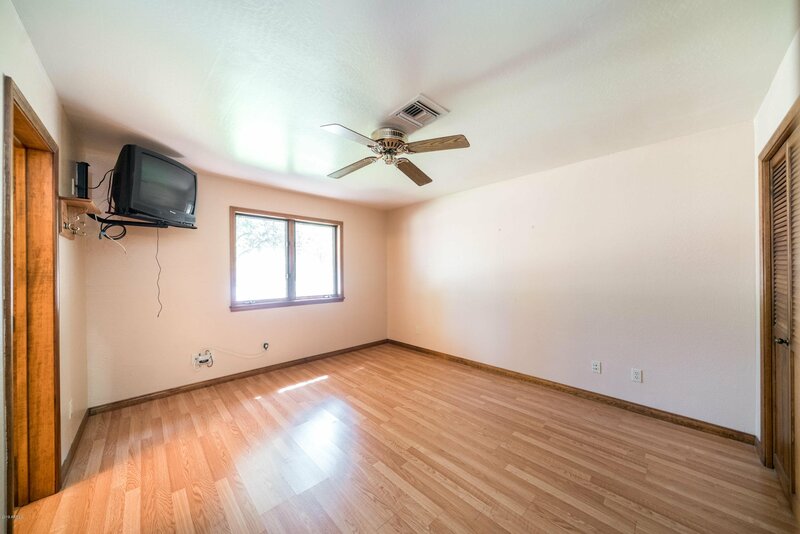 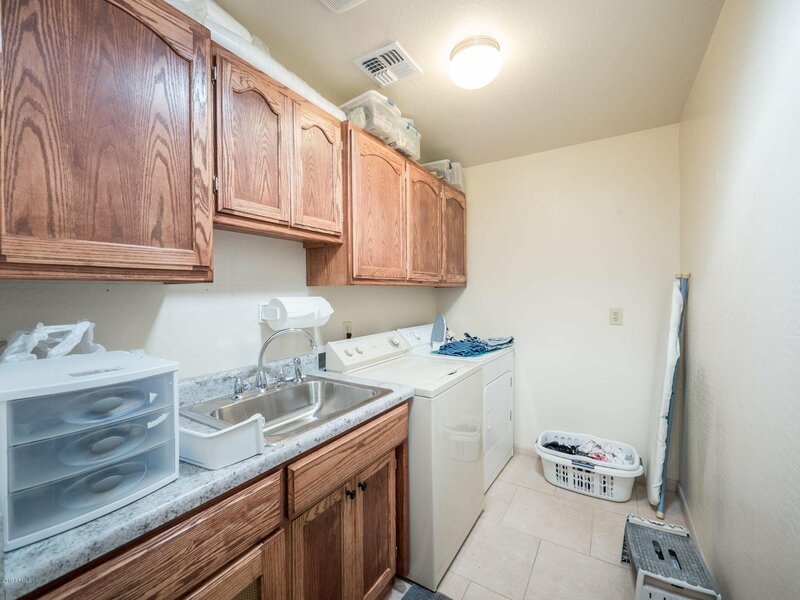 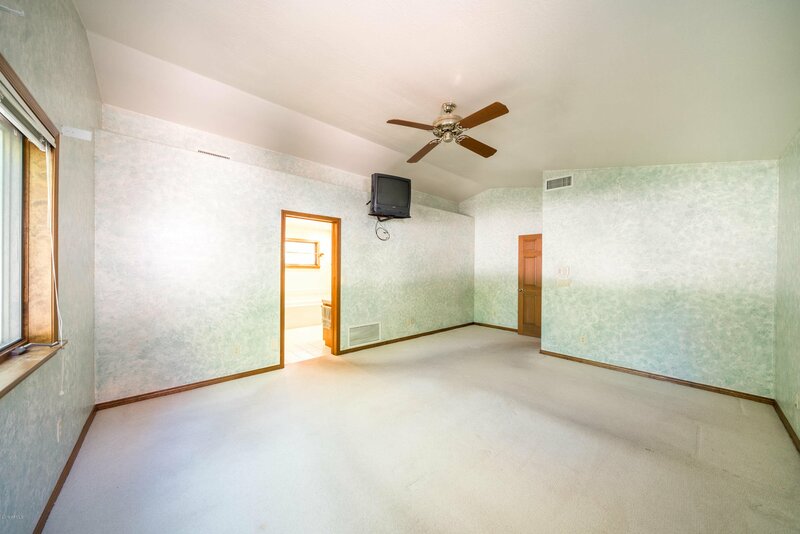 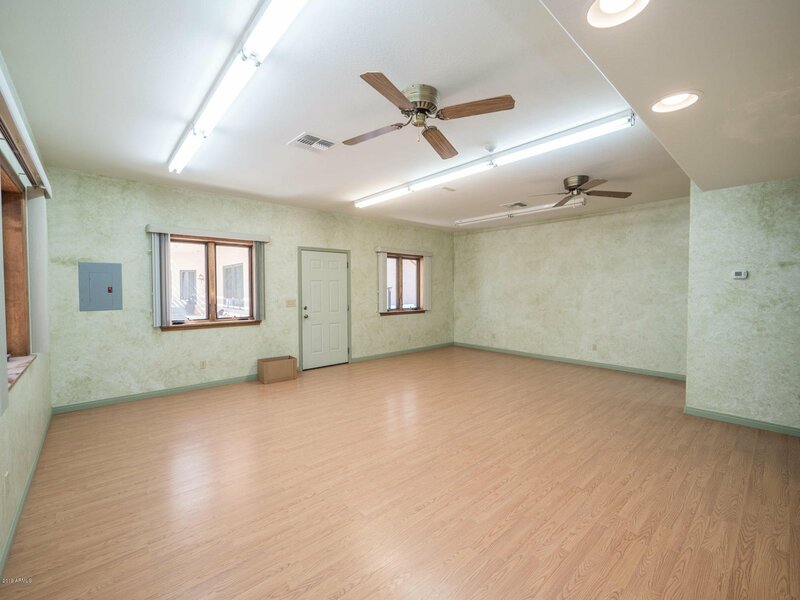 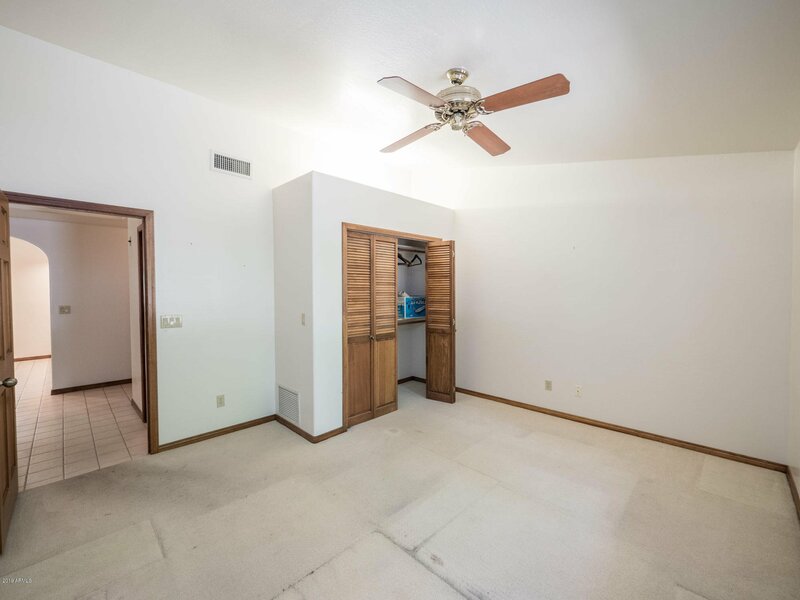 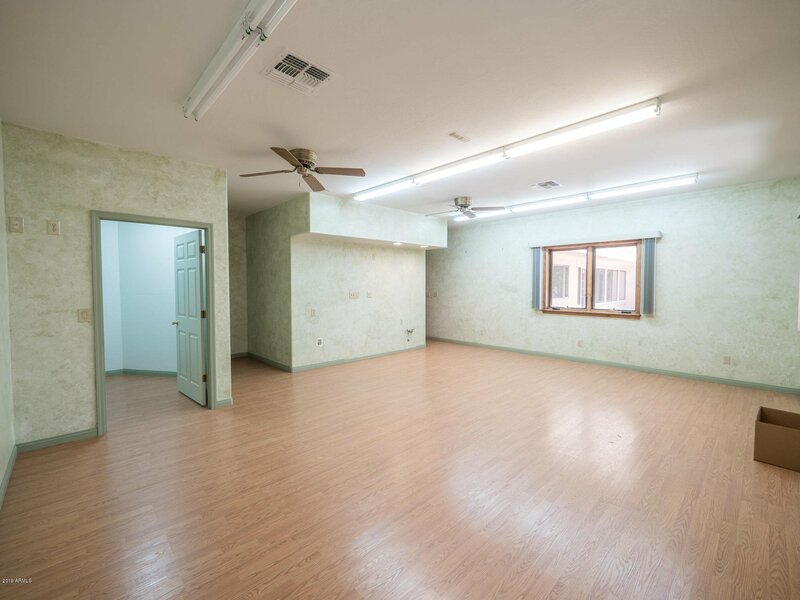 This area could be used for motor home storage, plus a play area, additional bedrooms, rehab cars, you name it. 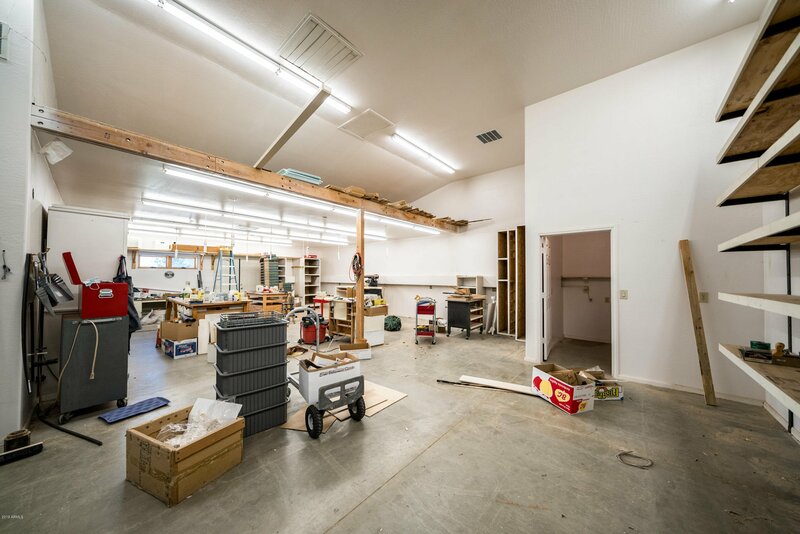 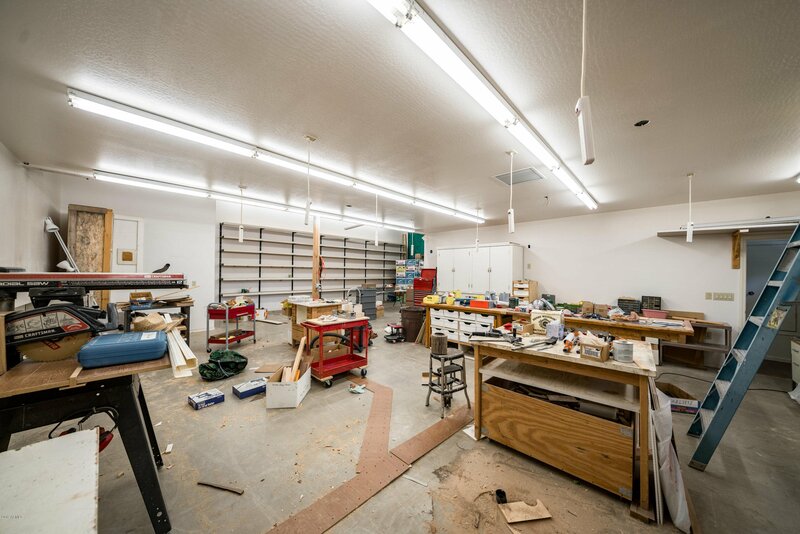 The current owner uses some of it for a wood working shop. 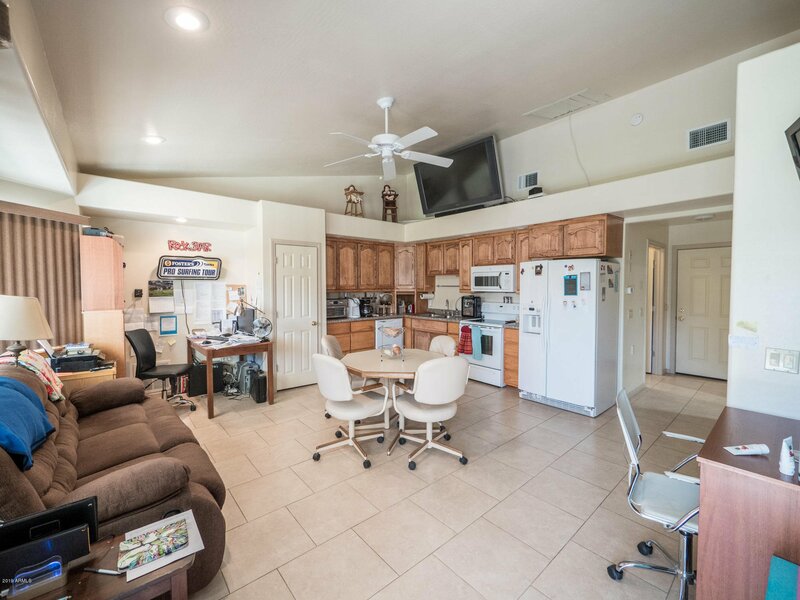 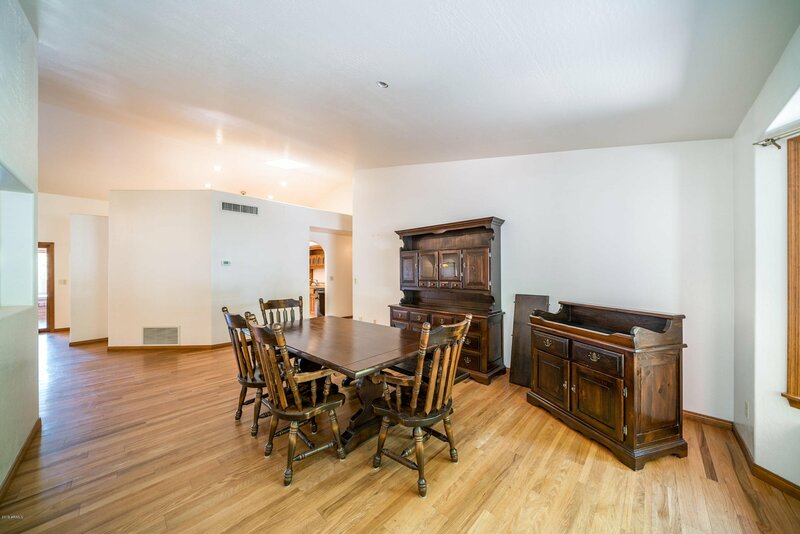 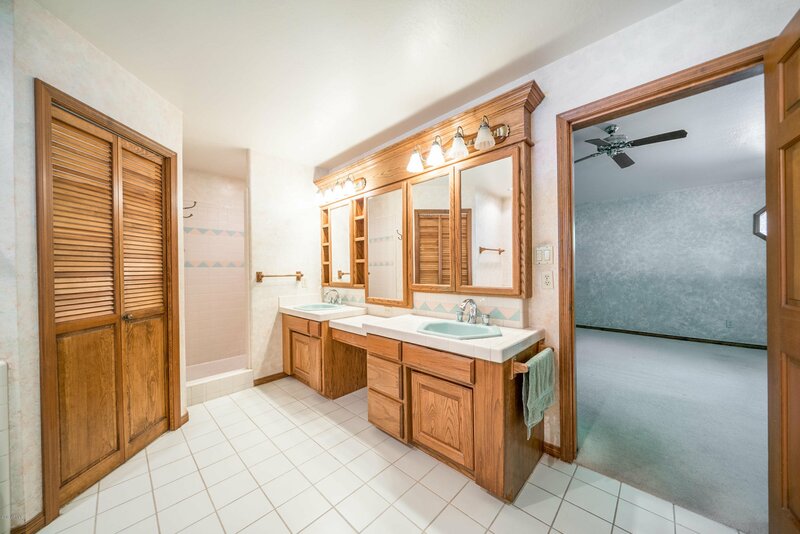 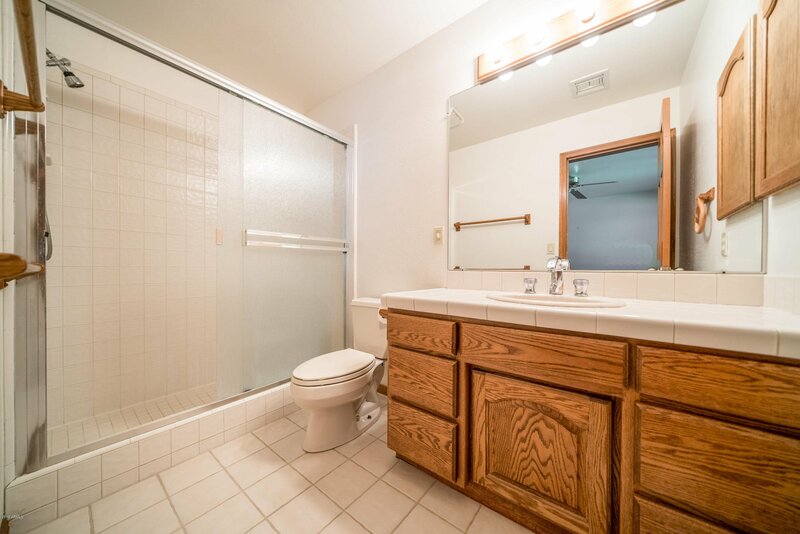 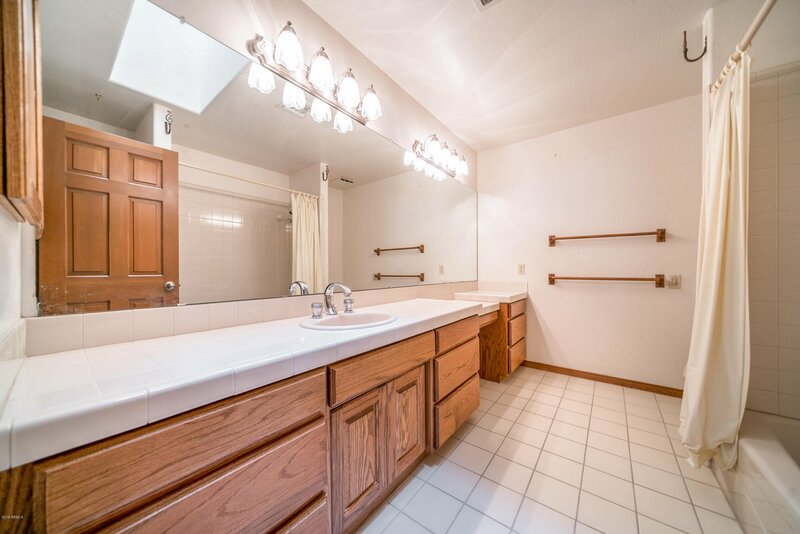 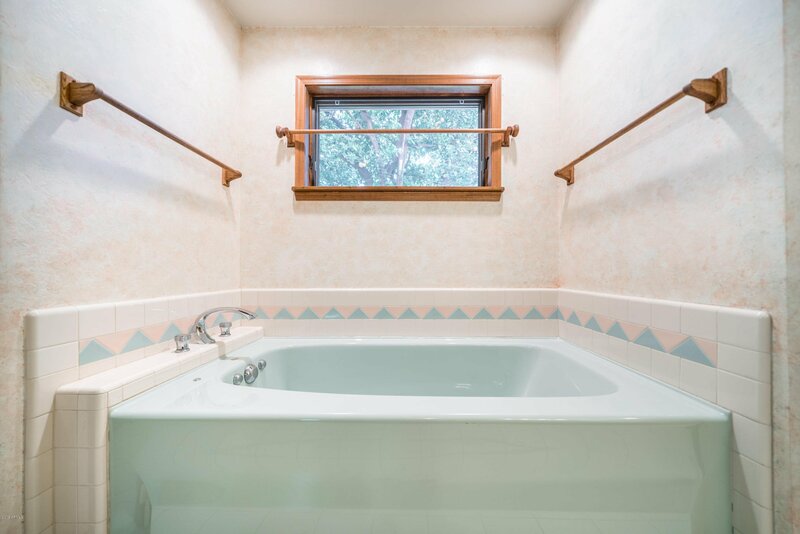 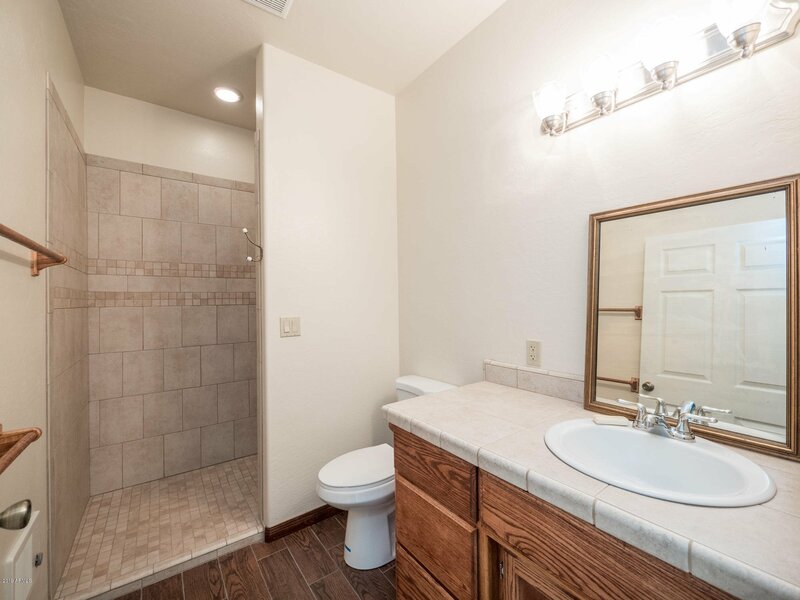 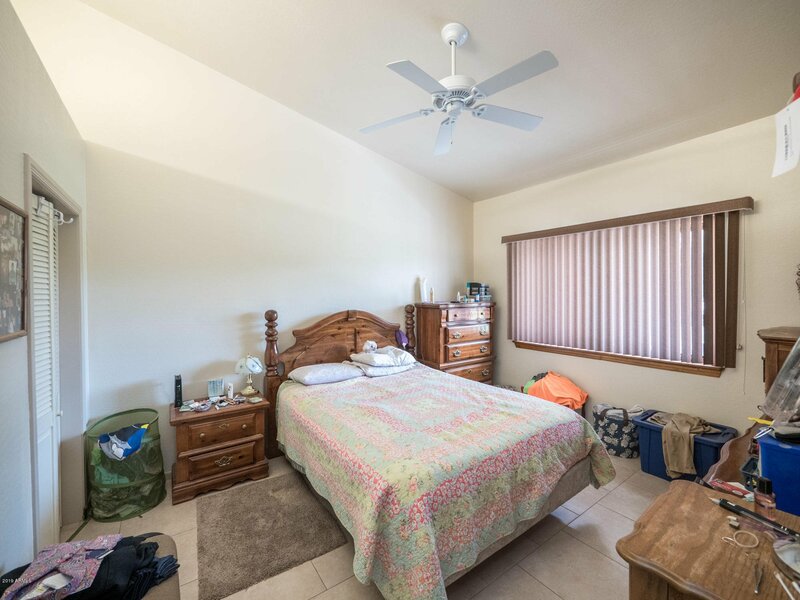 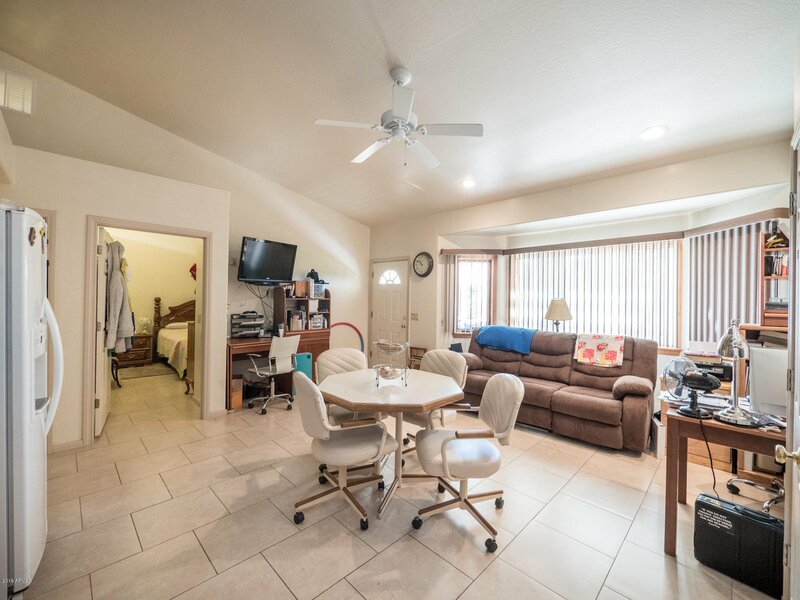 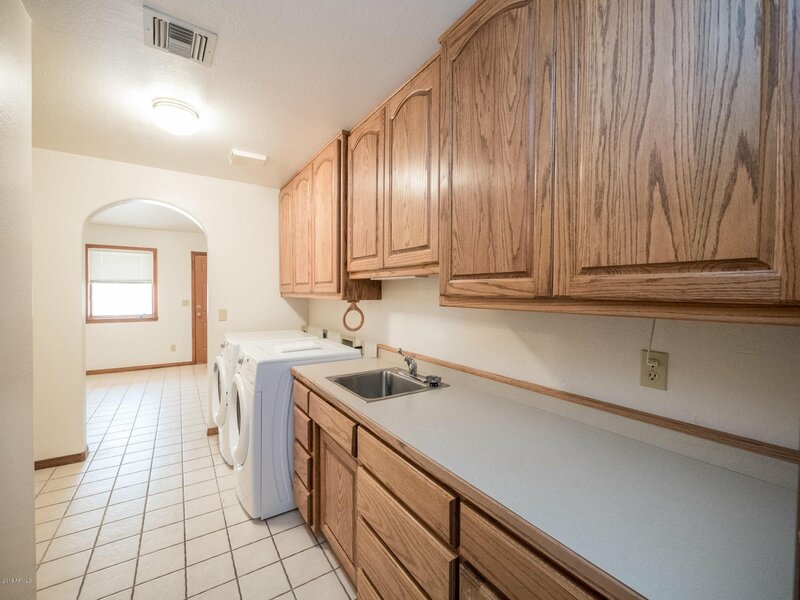 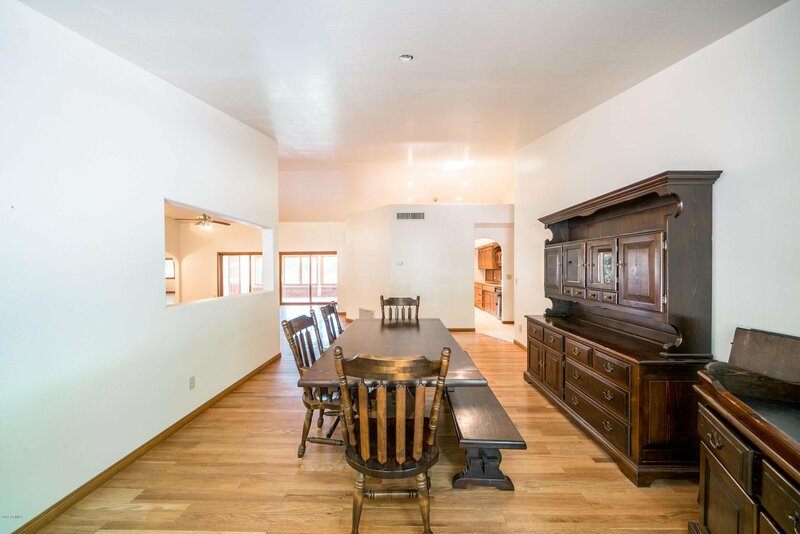 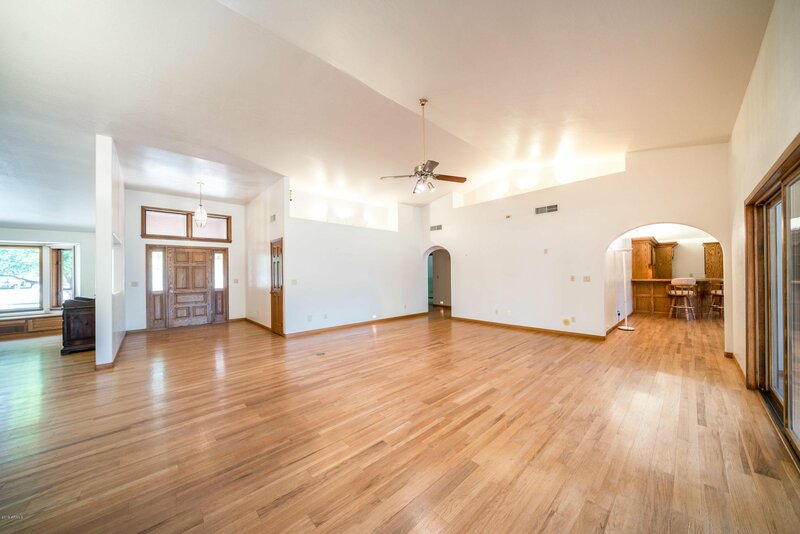 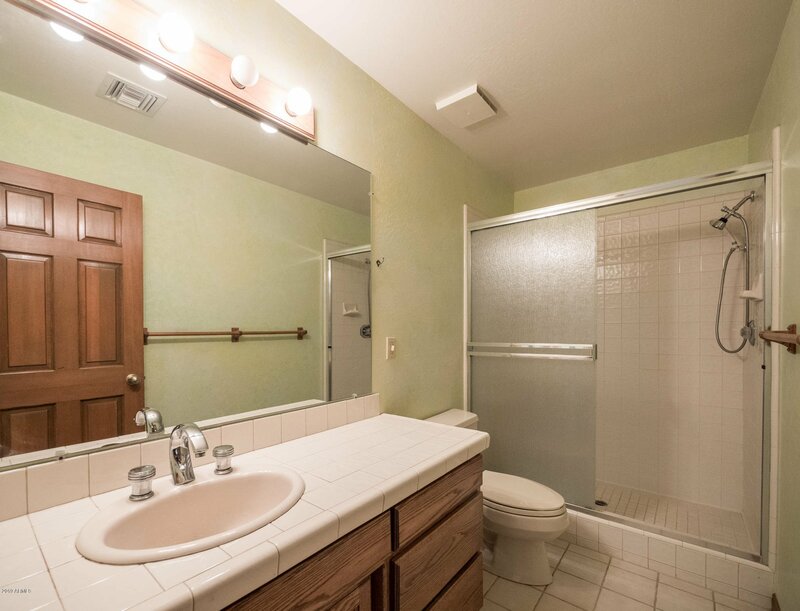 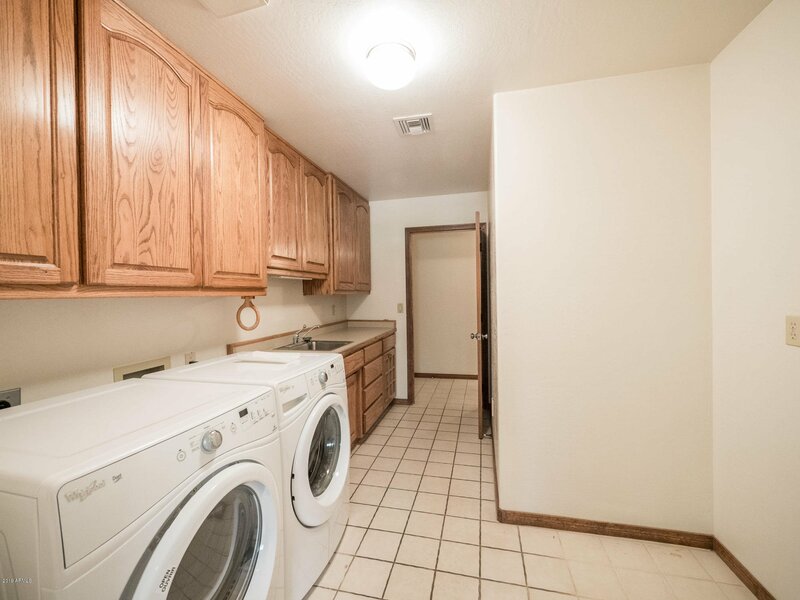 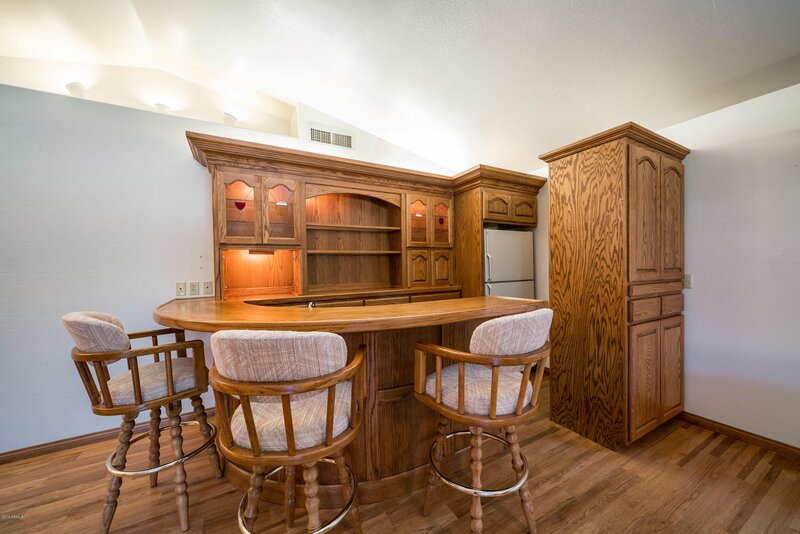 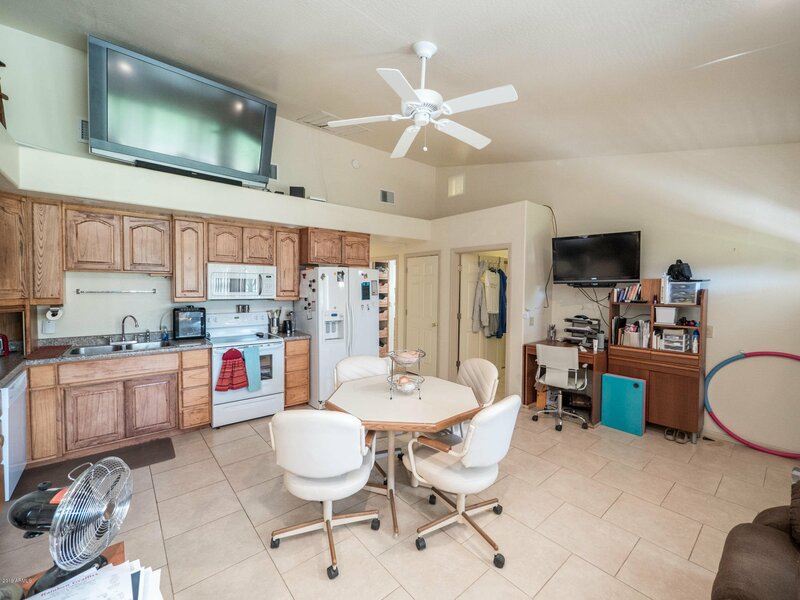 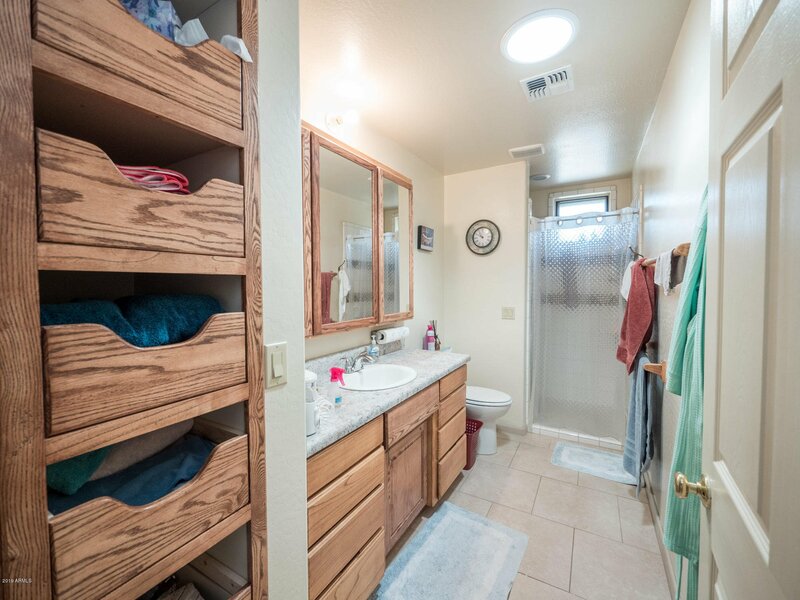 The 800 SF guest quarters has a kitchen/living room, large bedroom with an oversized closet, bathroom, laundry room (washer and electric dryer included), pantry and storage areas plus access to a single car garage. 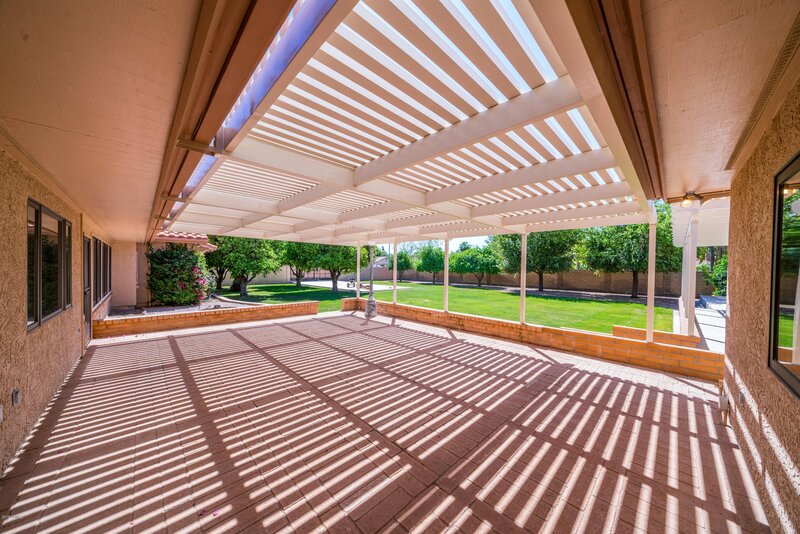 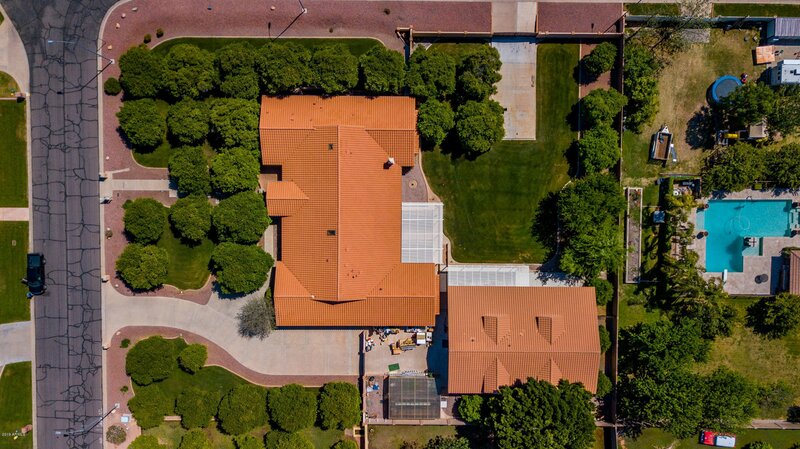 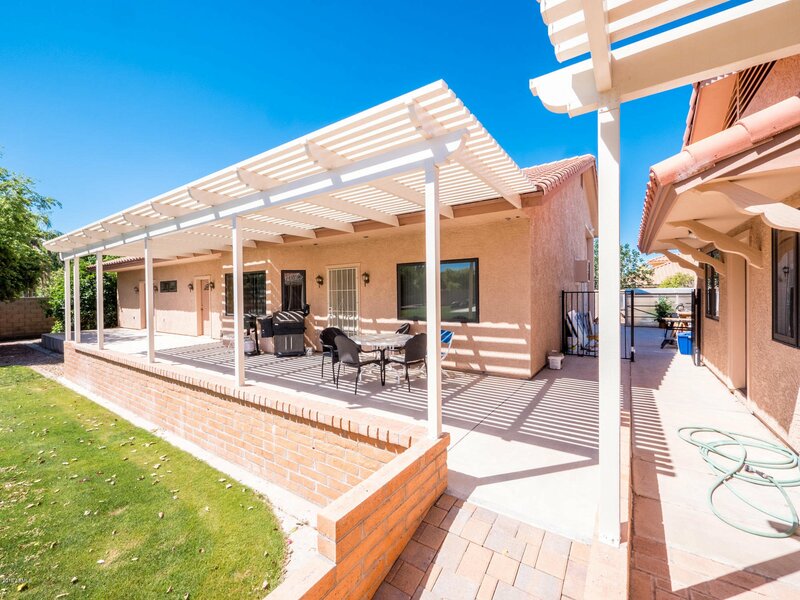 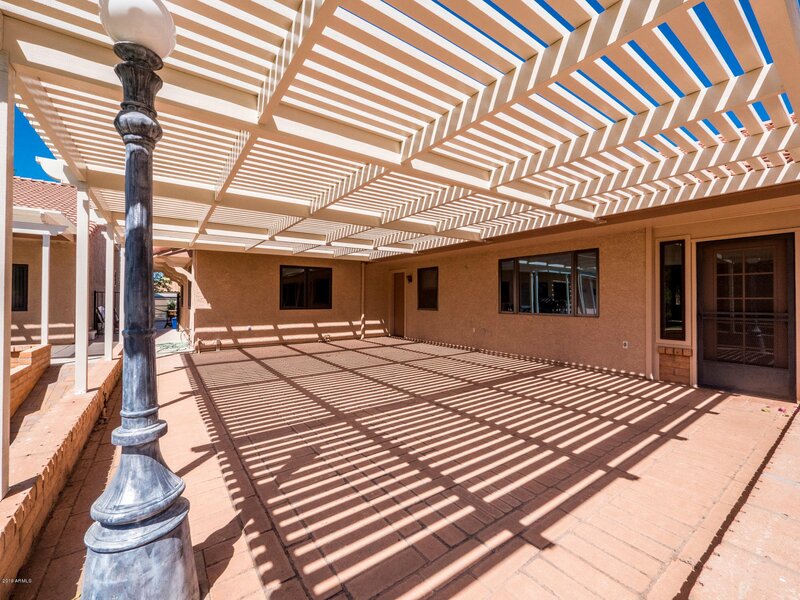 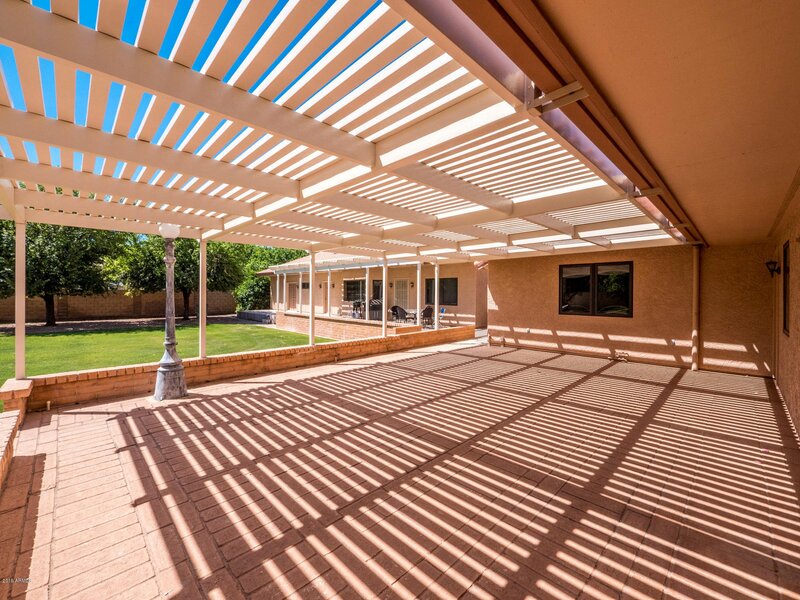 In Jan 2019, a new aluminum 28' by 20' pergola shade covering with baked on paint finish was installed over the rear patio of the main home and over the 10' by 36' east patio of the guest quarters to provide welcome shade on hot summer days. 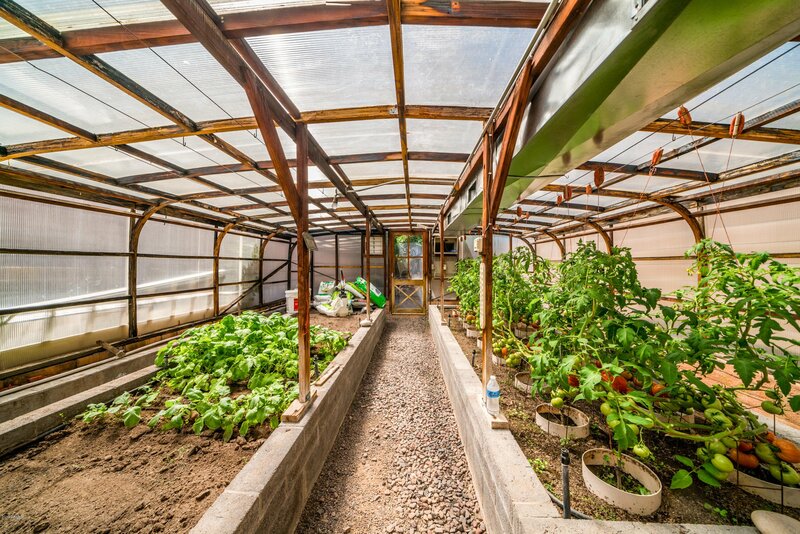 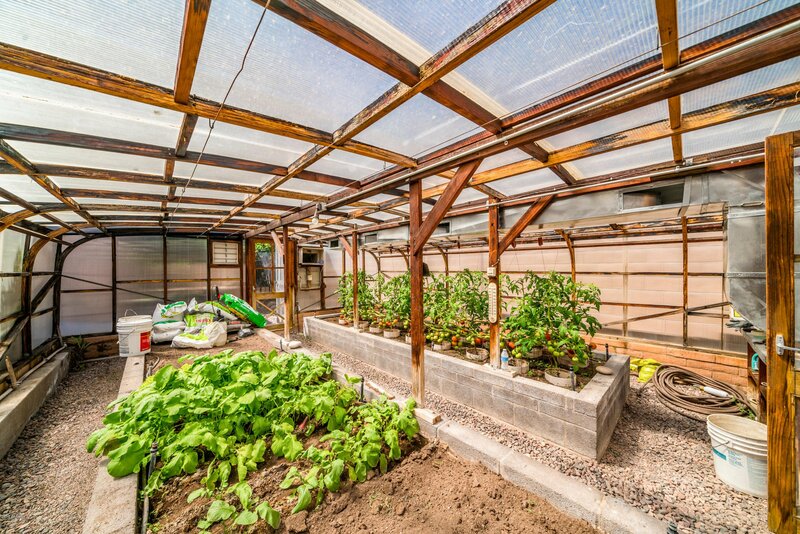 The property also has a 20'X30' natural gas heated and water cooled greenhouse to grow your winter crops; currently tomatoes and vegetables.